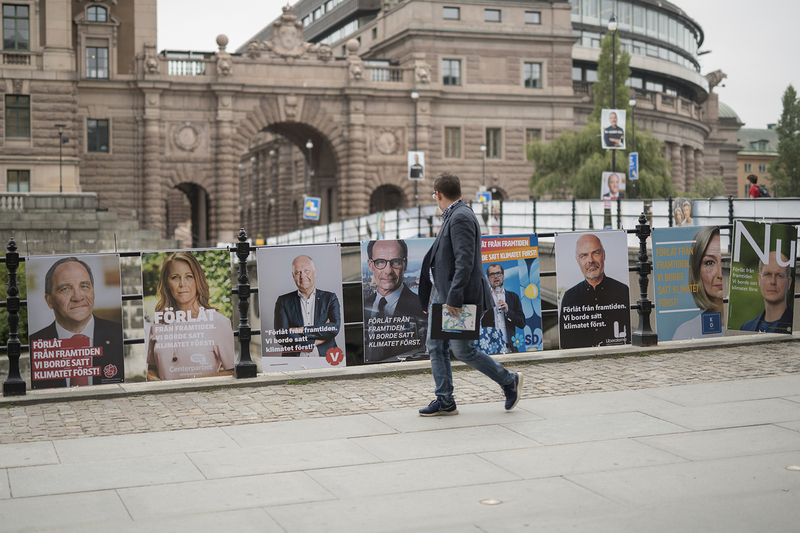 Art direction and manipulation of images for fake election posters of the eight parliamentary parties in Sweden before the election in September 2018. 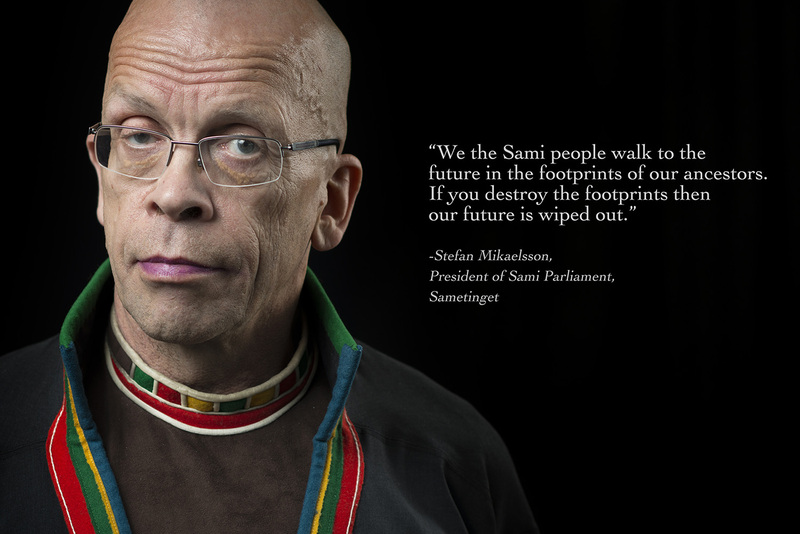 The party leaders where made to look older and apologised from the future, that they didn't act earlier with the climate issues before it was too late. 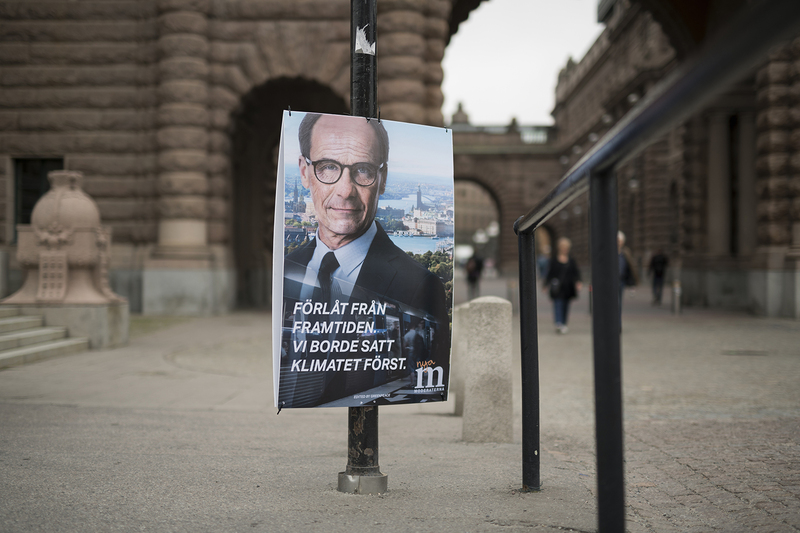 The images were printed as usual election posters and deployed in Stockholm the week before the election. 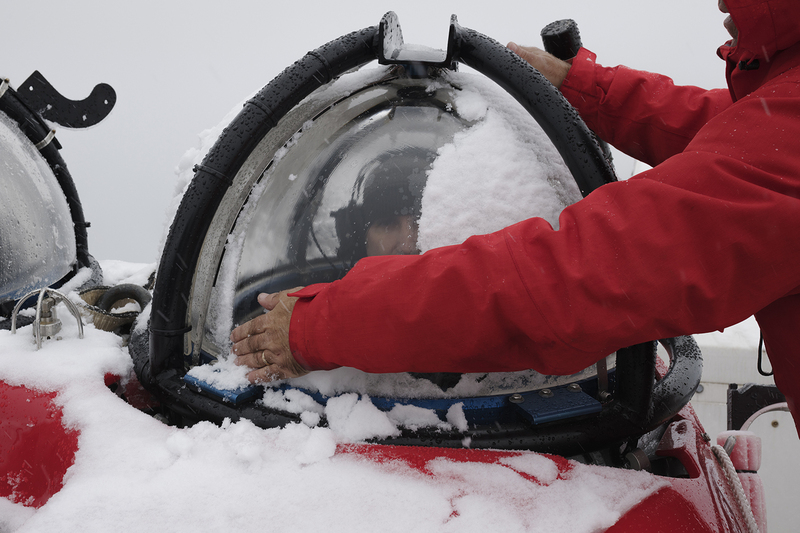 A submersible technichian wiping away the snow from the cockpit for submarine pilot John Hocevar sitting in a two person submarine about to be launched from Greenpeace ship the Arctic Sunrise. Greenpeace is conducting submarine-based scientific research to strengthen the proposal to create the largest protected area on the planet, an Antarctic Ocean Sanctuary. 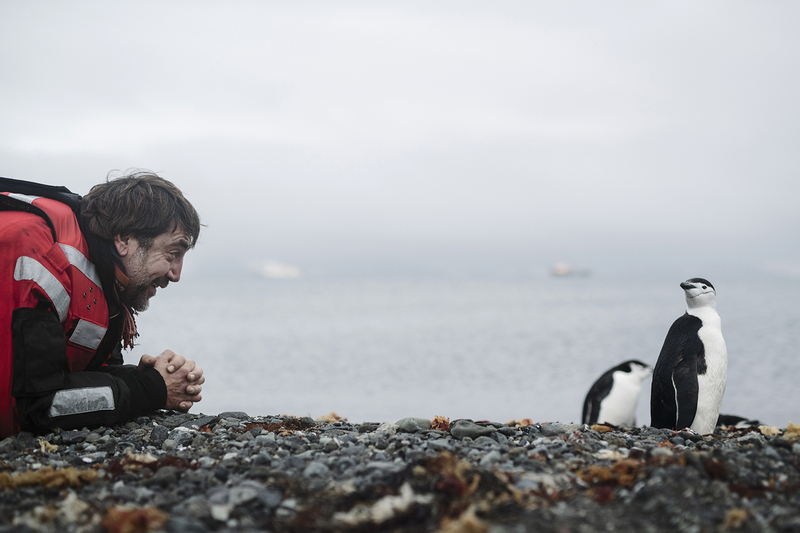 Actor and Antarctic ambassador Javier Bardem next to a chinstrap penguin on King George Island, the Antarctic. 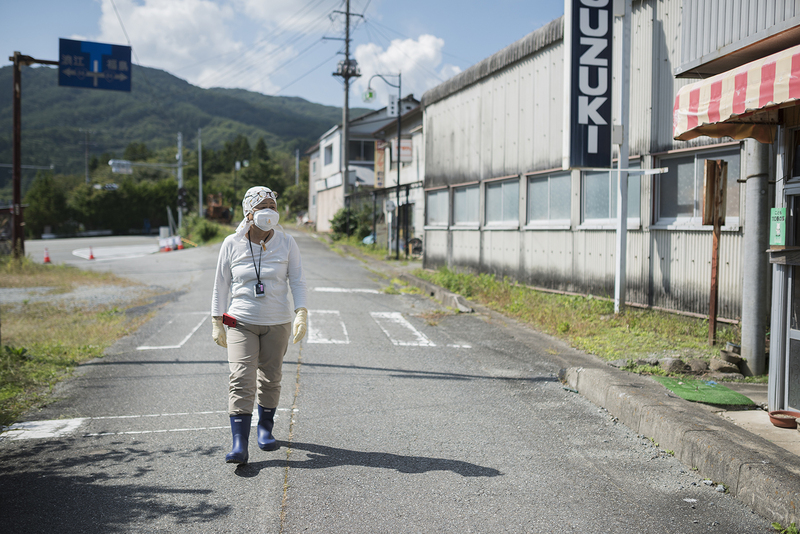 Evacuee and Fukushima survivor, Mrs Kanno walking through the empty streets of Tsushima, inside the highly contaminated exclusion zone of Namie, Fukushima prefecture. This area is closed for people to return to, however, the Japanese government plans to open a small area of Tsushima as early as 2023. 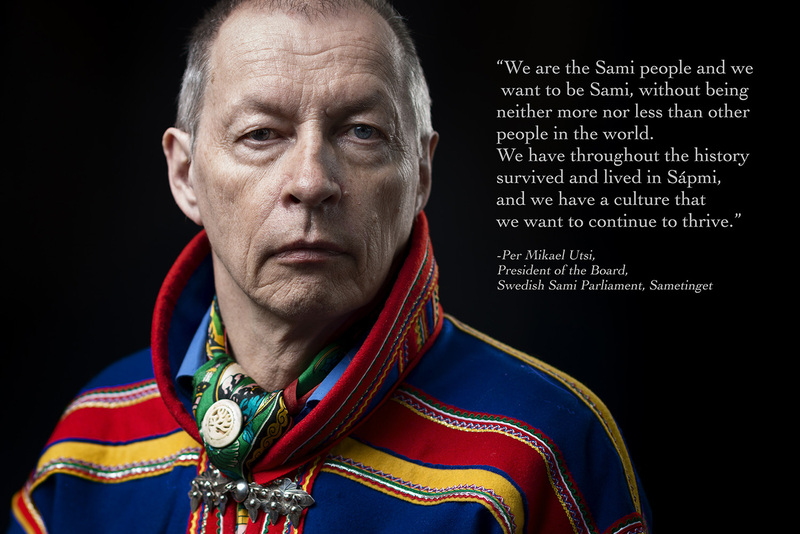 The levels of radiation measured by Greenpeace in this highly contaminated area mean that it will be many decades and beyond the end of the century before radiation levels will even approach government targets. 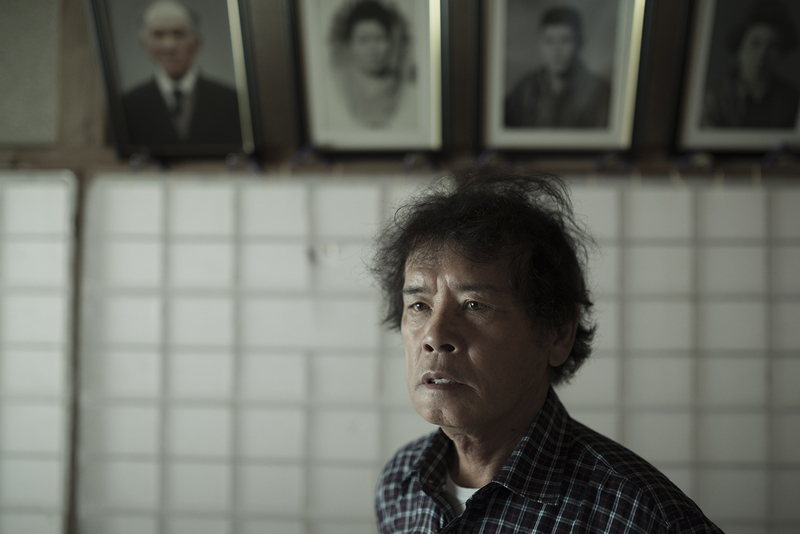 Mr Shibata a former residence in Tshushima visiting his highly contaminated house in Namie exclusion zone, Fukushima prefecture. It is prohibited to live in this area due to the high radiation levels but the government opened the main road (route 114) in September 2017. The Japanese government plan is to open a small area for people to return to in 2023 – despite the ineffectiveness of decontamination, and the fact that 70-80 percent of the region is forested mountain which cannot be decontaminated. The levels of radiation measured by Greenpeace in this highly contaminated area mean that it will be many decades and beyond the end of the century before radiation levels will even approach government targets. 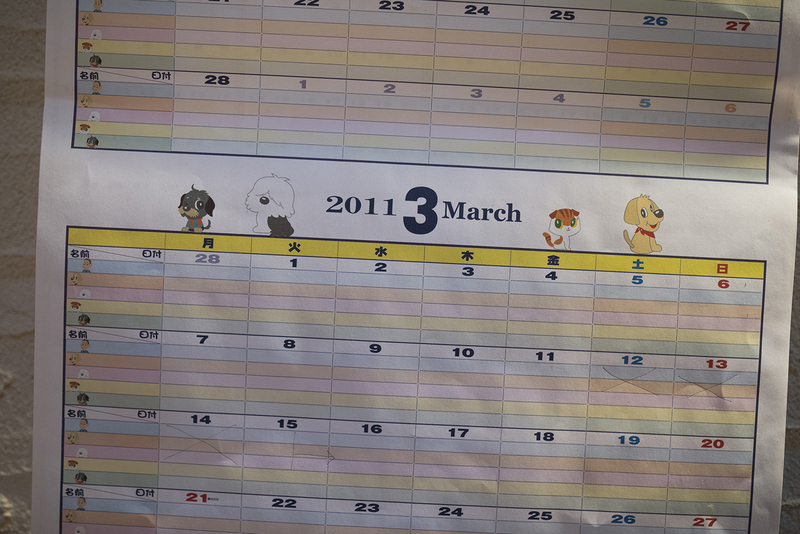 Calender left on the wall from March 2011, the time of the Nuclear accident, at Mrs Kannos house, a former residence in Shimo-Tsushima. Located in the exclusion zone of Namie, Fukushima prefecture, this area is closed for people to return to. However, the Japanese government plans to open a small area of Tsushima as early as 2023. The levels of radiation measured by Greenpeace in this highly contaminated area mean that it will be many decades and beyond the end of the century before radiation levels will even approach government targets. 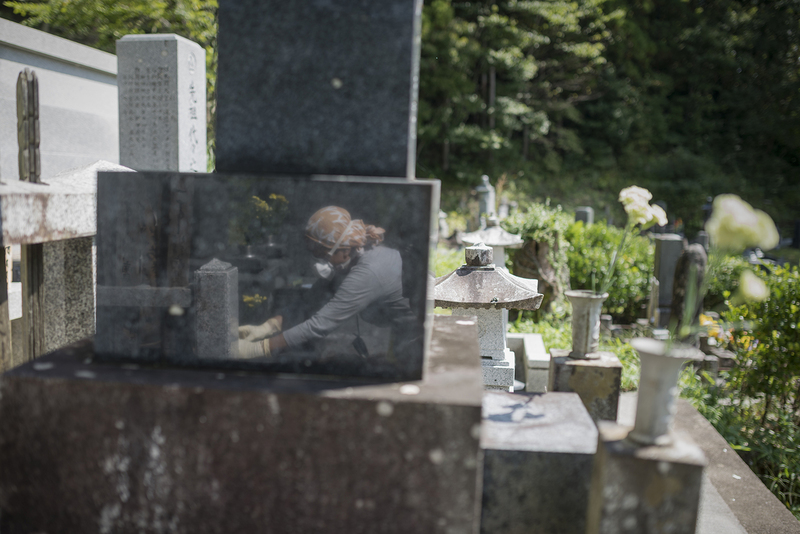 23 September 2017 - Evacuee and Fukushima survivor, Mrs Kanno at family grave in Tsushima, located in the exclusion zone of Namie, Fukushima prefecture. This area is closed for people to return to, however, the Japanese government plans to open a small area of Tsushima as early as 2023. The levels of radiation measured by Greenpeace in this highly contaminated area mean that it will be many decades and beyond the end of the century before radiation levels will even approach government targets. 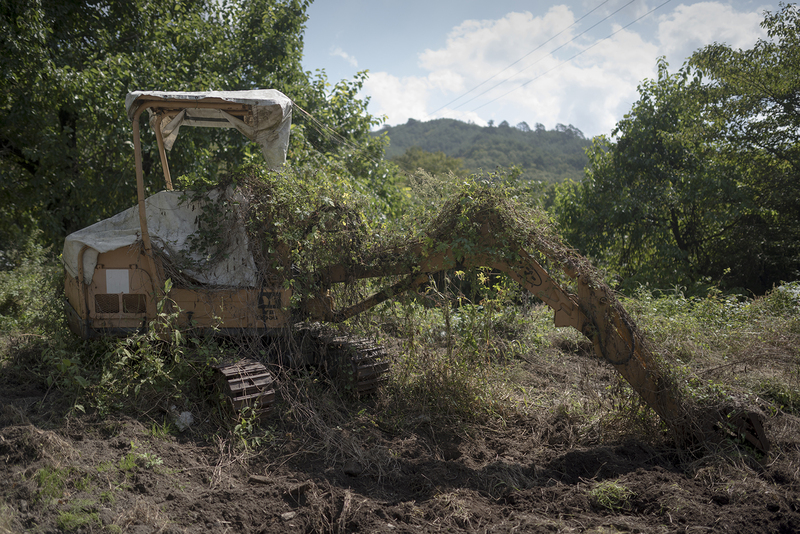 24 September 2017 – abandoned mechanical digger, along route 114 in the highly contaminated exclusion zone of Namie. This area is closed for people to return to - though the government opened the main road (route 114) in September 2017. The Japanese government plans are to open a small area of Tsushima as early as 2023. 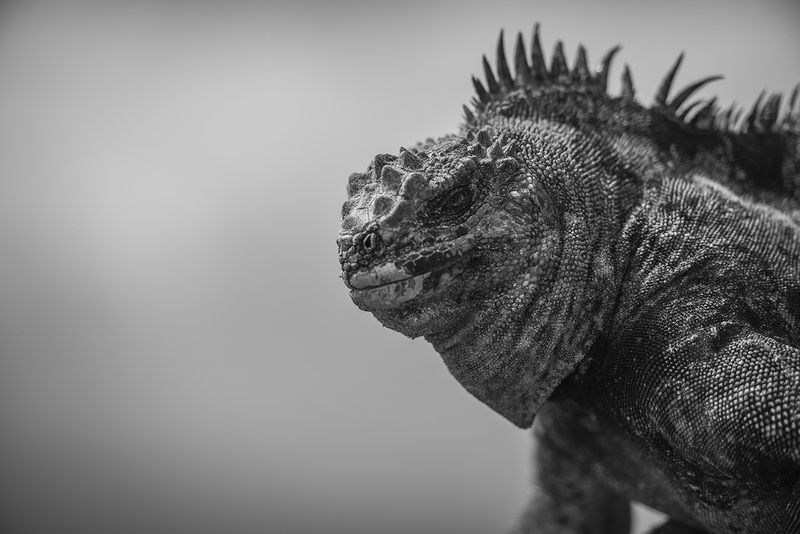 The levels of radiation measured by Greenpeace mean that it will be many decades and beyond the end of the century before radiation levels will even approach safe levels. 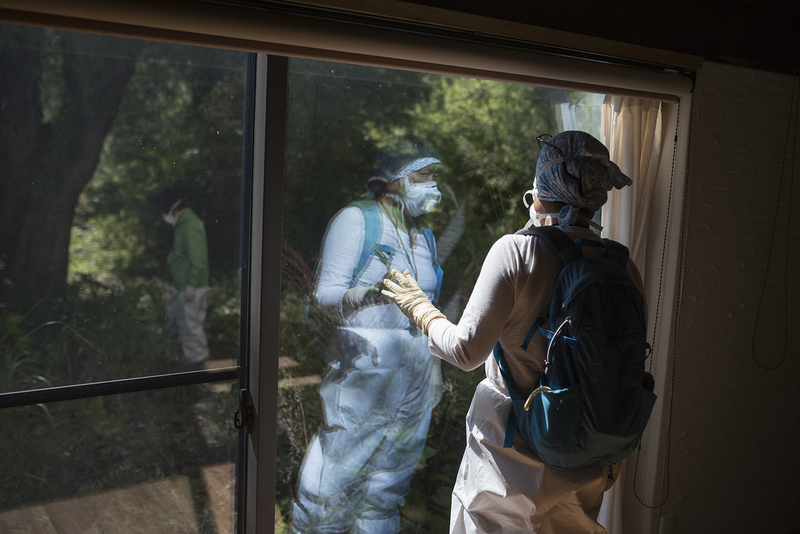 Evacuee and Fukushima survivor, Ms Kanno at her house in Shimo-Tsushima watches Greenpeace radiation specialists Mai Suzuki and Laurence Bergot measuring for contamination around her house. 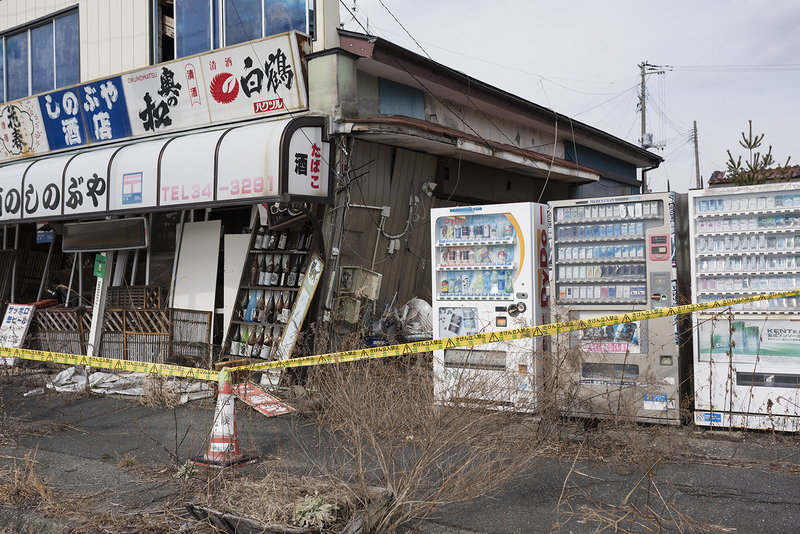 Located in the exclusion zone of Namie, Fukushima prefecture, this area is closed for people to return to. However, the Japanese government plans to open a small area of Tsushima as early as 2023. The levels of radiation measured by Greenpeace in this highly contaminated area mean that it will be many decades and beyond the end of the century before radiation levels will even approach government targets. 1 October 2017, Iitate - Japan. 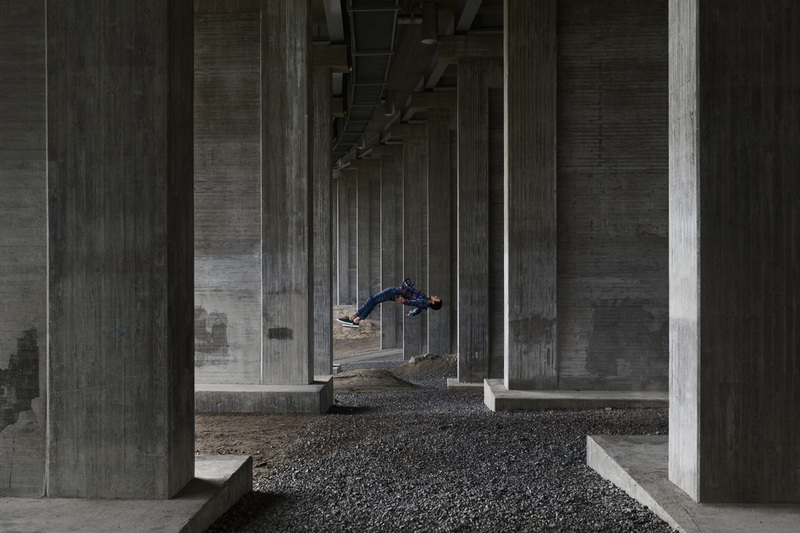 Toru Anzai visting his house in Iitate, Fukushima prefecture. The house, which is approximately 32 km northwest of the Fukushima Daiichi nuclear plant, was heavily exposed to radioactive fallout in March 2011. 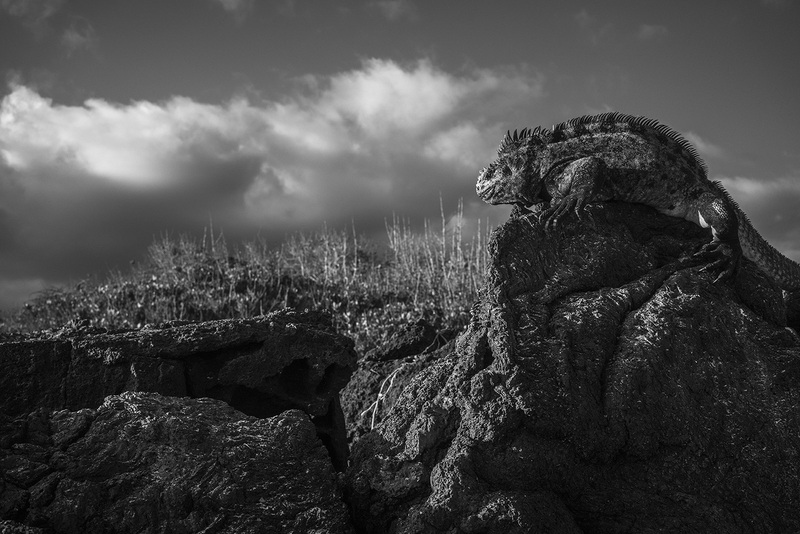 The Government lifted evacuation orders for a part of Iitate in March 2017 despite radiation readings that mean it is not safe for people to return to Iitate. 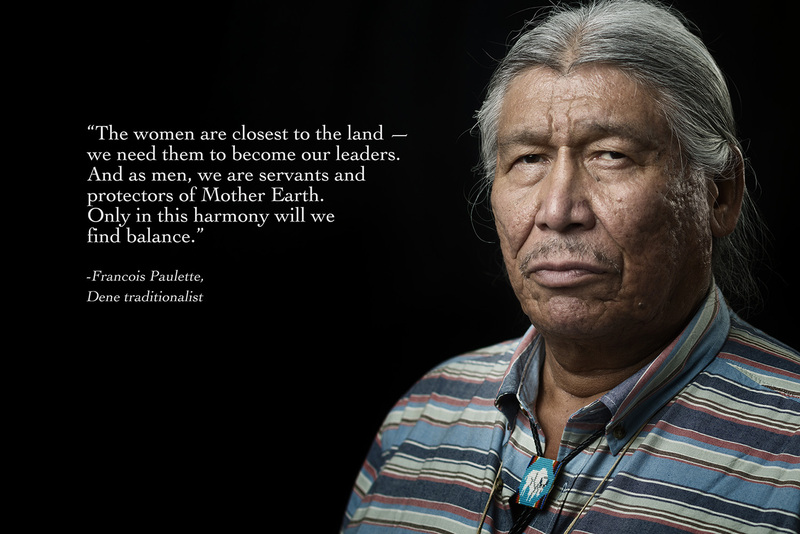 As of December 2017, the population of Iitate was 505, 7.7% of the population in March 2011. Greenpeace has been conducting radiation surveys in Iitate since March 2011, when it was the first to warn of the high levels of radiation and the urgent need to evacuate. Iitate, Fukushima prefecture. 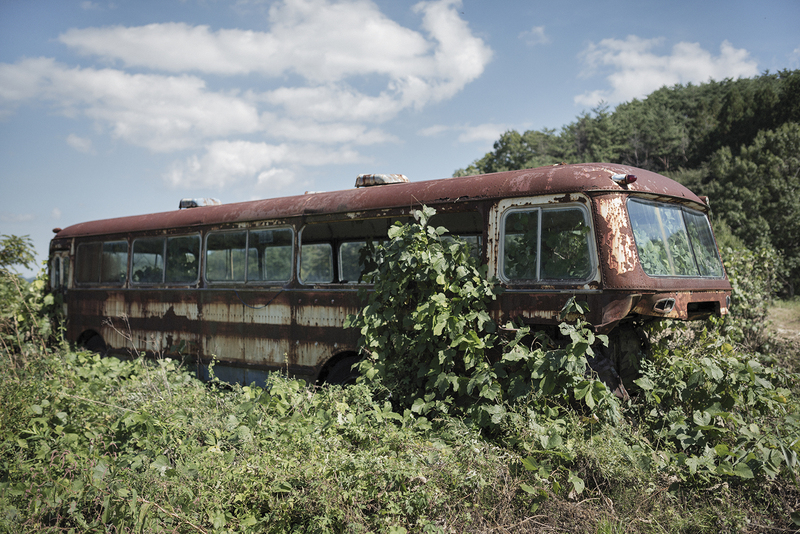 Abandoned bus outside former resident of Iitate Toru Anzai’s house in Fukushima prefecture. The house, which is approximately 32 km northwest of the Fukushima Daiichi nuclear plant, was heavily exposed to radioactive fallout in March 2011. The Government lifted evacuation orders for a part of Iitate in March 2017 despite radiation readings that mean it is not safe for people to return to Iitate. As of December 2017, the population of Iitate was 505, 7.7% of the population in March 2011. Greenpeace has been conducting radiation surveys in Iitate since March 2011, when it was the first to warn of the high levels of radiation and the urgent need to evacuate. 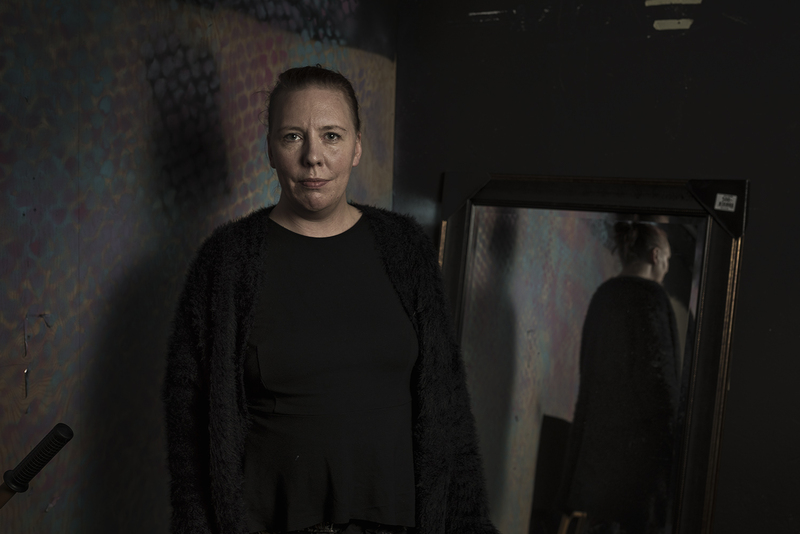 Portrait of theater director Martina Montelius about the #metoo movement in Sweden. Client: Der Spigel. Nuclear waste storage area in Iitate, Fukushima prefecture in Japan. Adopting a return to normal policy, the Japanese government undertook an unprecedented decontamination program for areas of Fukushima contaminated by the tripe reactor meltdown in March 2011. 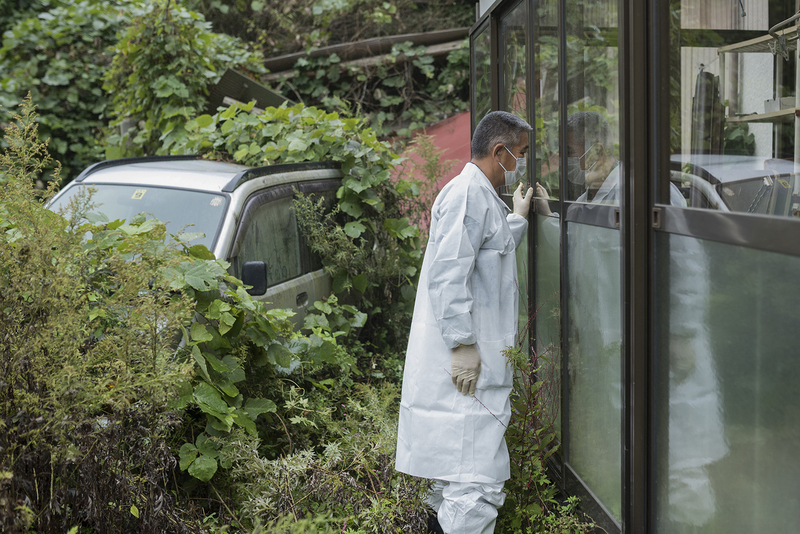 Fukushima prefecture is 70 percent mountainous forest which has not and cannot be decontaminated, with decontamination efforts focused along roads and in towns, farmland and in narrow areas around people’s houses. Even so, the result has been that the Japanese authorities have produced a nuclear waste crisis, with over 13 million cubic meters of waste located in 147,000 locations (as of July 2017). The Japanese government is determined to force people back to their homes despite the on-going radiation risks and the vast volumes of nuclear waste. 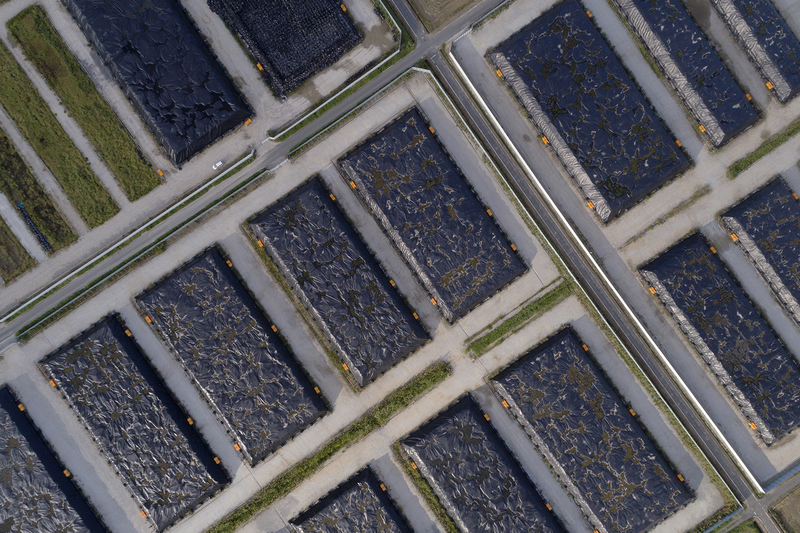 Aerial view of a nuclear waste storage area in Namie, Fukushima prefecture in Japan. 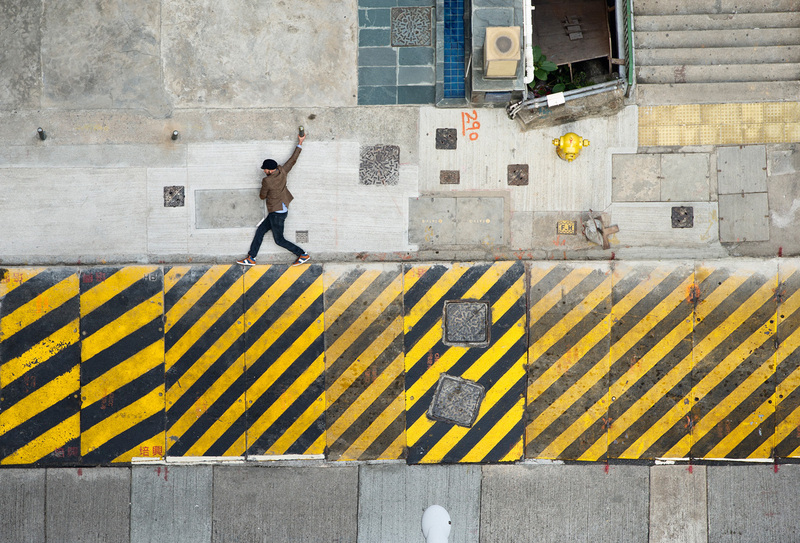 Adopting a return to normal policy, the Japanese government undertook an unprecedented decontamination program for areas of Fukushima contaminated by the tripe reactor meltdown in March 2011. 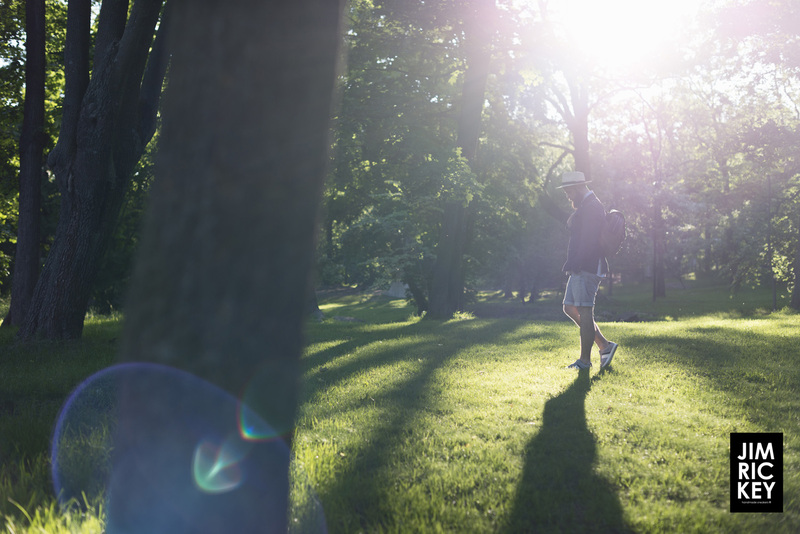 Fukushima prefecture is 70 percent mountainous forest which has not and cannot be decontaminated, with decontamination efforts focused along roads and in towns, farmland and in narrow areas around people’s houses. Even so, the result has been that the Japanese authorities have produced a nuclear waste crisis, with over 13 million cubic meters of waste located in 147,000 locations (as of July 2017). The Japanese government is determined to force people back to their homes despite the on-going radiation risks and the vast volumes of nuclear waste. 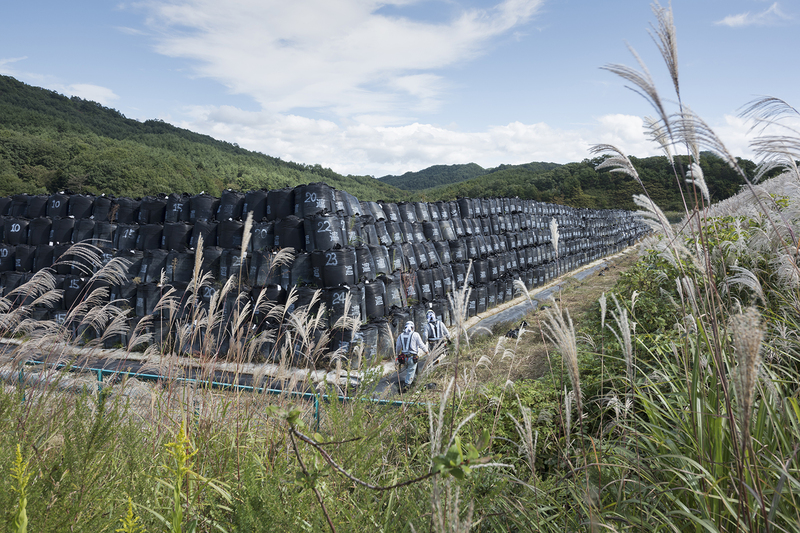 Nuclear waste storage area, with bags standing in rainwater between Namie and Minamisoma, Fukushima prefecture in Japan. 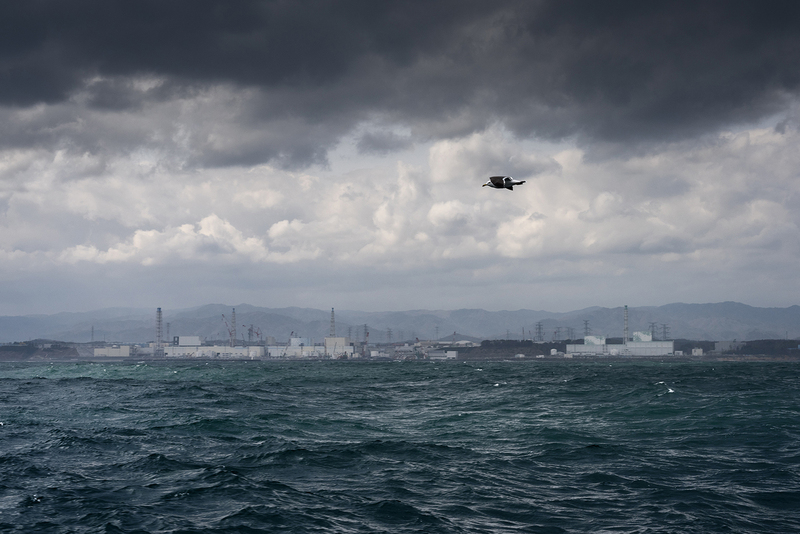 Adopting a return to normal policy, the Japanese government undertook an unprecedented decontamination program for areas of Fukushima contaminated by the tripe reactor meltdown in March 2011. Fukushima prefecture is 70 percent mountainous forest which has not and cannot be decontaminated, with decontamination efforts focused along roads and in towns, farmland and in narrow areas around people’s houses. Even so, the result has been that the Japanese authorities have produced a nuclear waste crisis, with over 13 million cubic meters of waste located in 147,000 locations (as of July 2017). The Japanese government is determined to force people back to their homes despite the on-going radiation risks and the vast volumes of nuclear waste. 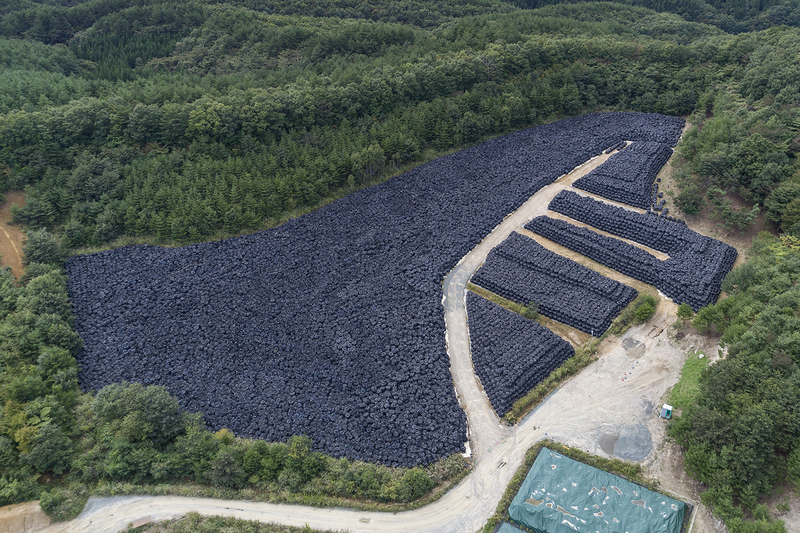 Aerial view of nuclear waste storage area in the mountainous forests of Iitate, Fukushima prefecture in Japan. Adopting a return to normal policy, the Japanese government undertook an unprecedented decontamination program for areas of Fukushima contaminated by the tripe reactor meltdown in March 2011. Fukushima prefecture is 70 percent mountainous forest which has not and cannot be decontaminated, with decontamination efforts focused along roads and in towns, farmland and in narrow areas around people’s houses. Even so, the result has been that the Japanese authorities have produced a nuclear waste crisis, with over 13 million cubic meters of waste located in 147,000 locations (as of July 2017). The Japanese government is determined to force people back to their homes despite the on-going radiation risks and the vast volumes of nuclear waste. 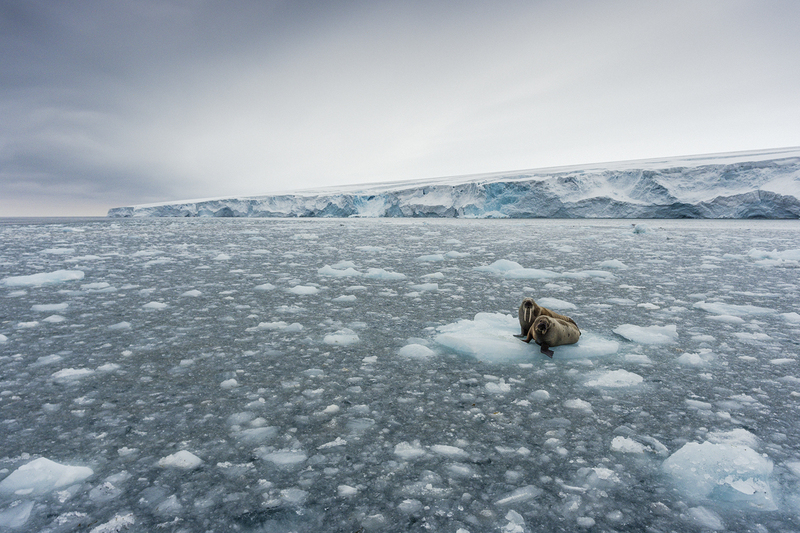 Two walruses resting on an ice floe in front of Kvitøya (White Island), in the northeast part of Svalbard Archipelago.The remote island is located above 80 degrees north in the high Arctic and is almost completely covered by a thick ice cap. It was here the remains of the members of Andrées North Pole balloon expedition of 1897, was found 33 years later. 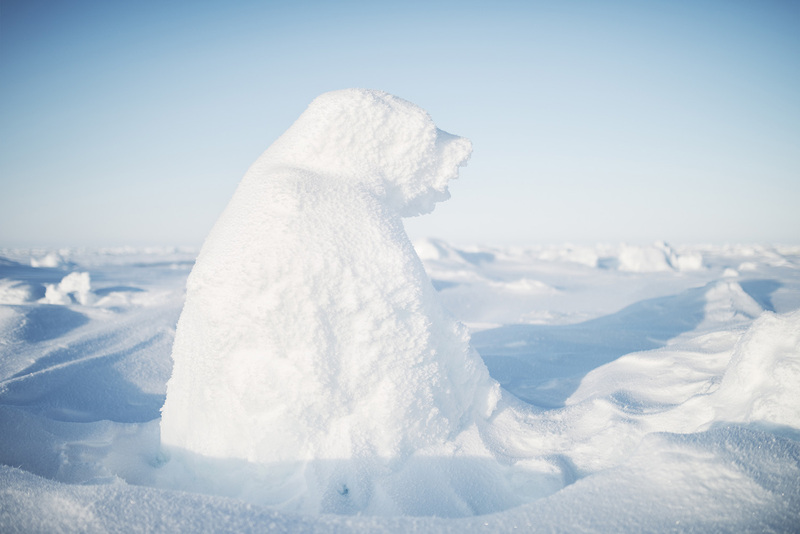 The expedition had attempted to overfly the North Pole, but crashed on the pack ice 300 km north of Kvitøya. They were able to reach the Island on foot, but the three member of the expedition died within a few weeks after reaching the island. 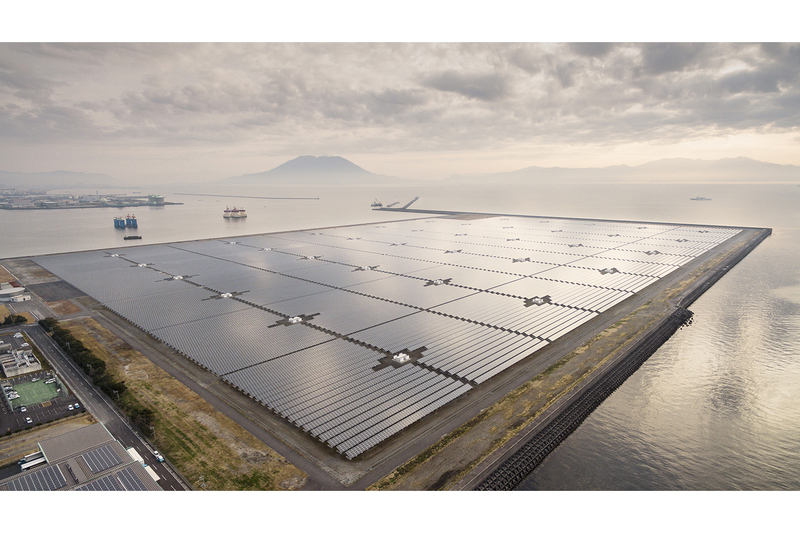 Kagoshima Nanatsujima Mega Solar Power Plant is one of Japan’s nuclear power phase-out efforts that was built after the Fukushima Daiichi disaster. The 70MW plant went online in November 2013 and consists of 290,000 solar panels that are generating enough electricity to power around 22,000 homes. The destroyed Fukushima Daiichi nuclear plant, five years after the accident. The crisis is still ongoing with discharges of radioactive water going into the groundwater and the ocean. The disaster forced 160,000 people to flee their homes and 100,000 are still today displaced because of the high levels of radiation. 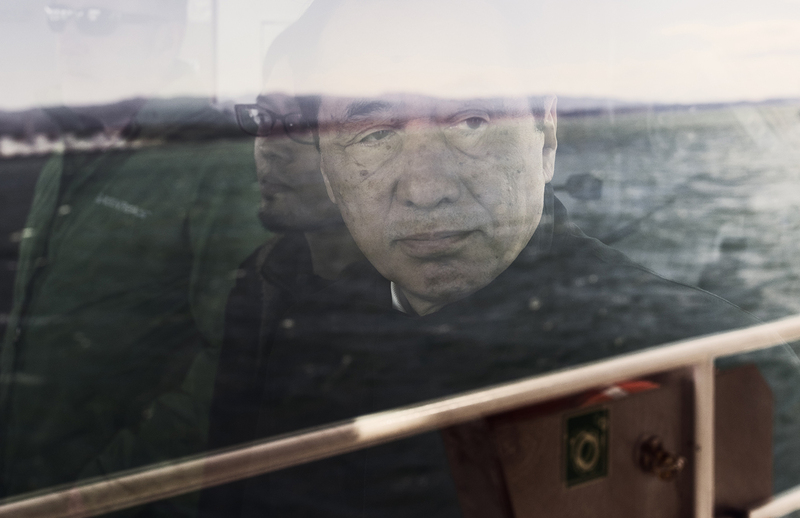 Naoto Kan, the Prime Minister of Japan at the time of the Fukushima Daiichi nuclear accident sailing passed the destroyed nuclear plant, on the eve of the fifth anniversary of the nuclear accident. The former Prime Minister declares that the nuclear accident at Fukushima Daiichi is not over, including major threats from contaminated water from the site; restated his opposition to nuclear power in Japan, and called for its energy policy in Japan to be based on renewable energy. 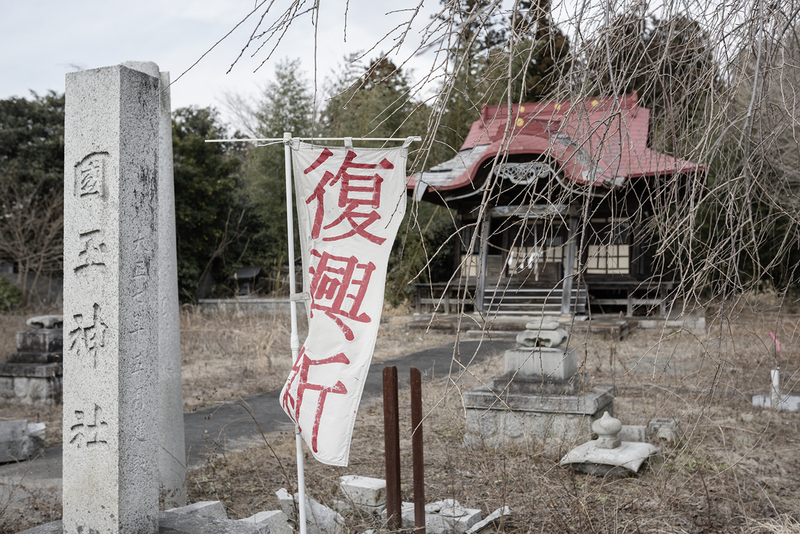 Sign with text ‘Pray for recovery’ at the Kunitama shrine, in the abandoned city Namie, located just north of the Fukushima Daiichi Nuclear Power Plant. 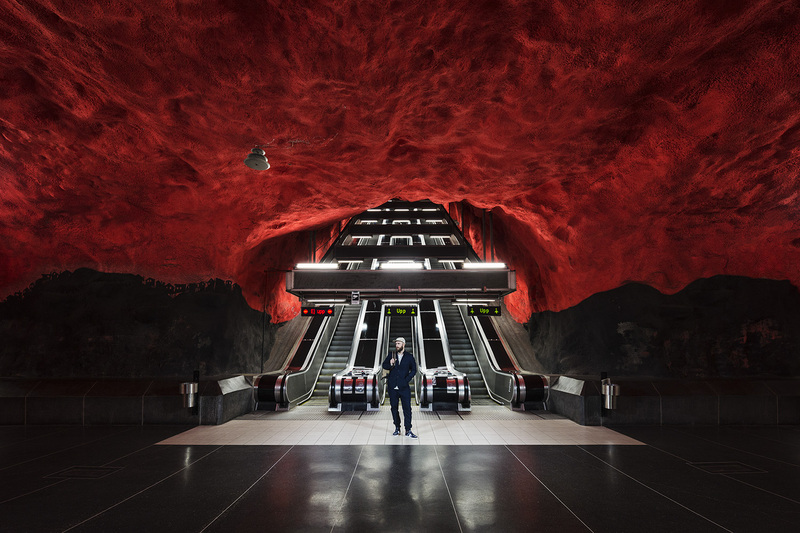 The city had a population of 18000 people that was evacuated after the disaster. The evacuation area around Fukushima Daiichi is divided in 3 zones. Namie is now on the border of zone 2 and the highest zone 3 where people are not allowed to move back for a long time. Zone 2 is the area that is being prepared for people to return to, as early as 2017 when evacuated citizens will loose their right to the limited compensation they are now receiving. Even after decontamination, most of the area remains dangerously radioactive. Vending machine and sake bottles outside a store in the abandoned city Namie, located between 5-15 km north of the Fukushima Daiichi Nuclear Power Plant. 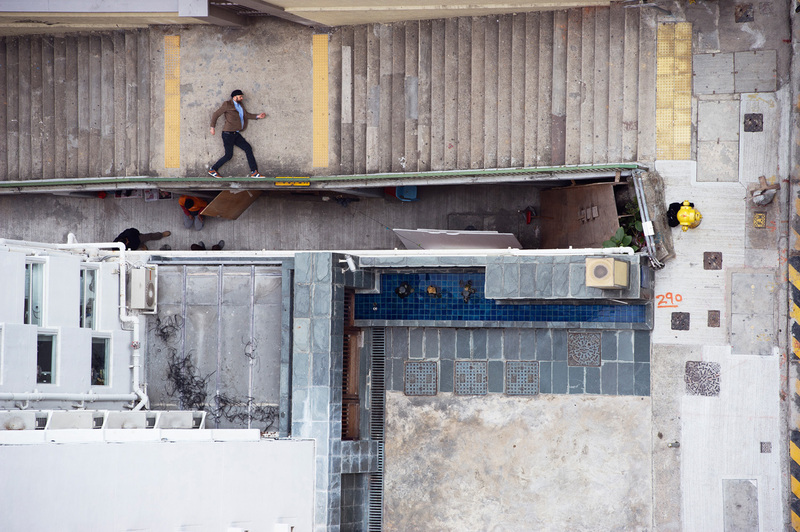 The city had a population of 18000 people that was evacuated after the disaster. The evacuation area around Fukushima Daiichi is divided in 3 zones. Namie is now on the border of zone 2 and the highest zone 3 where people are not allowed to move back for a long time. Zone 2 is the area that is being prepared for people to return to, as early as 2017 when evacuated citizens will loose their right to the limited compensation they are now receiving. 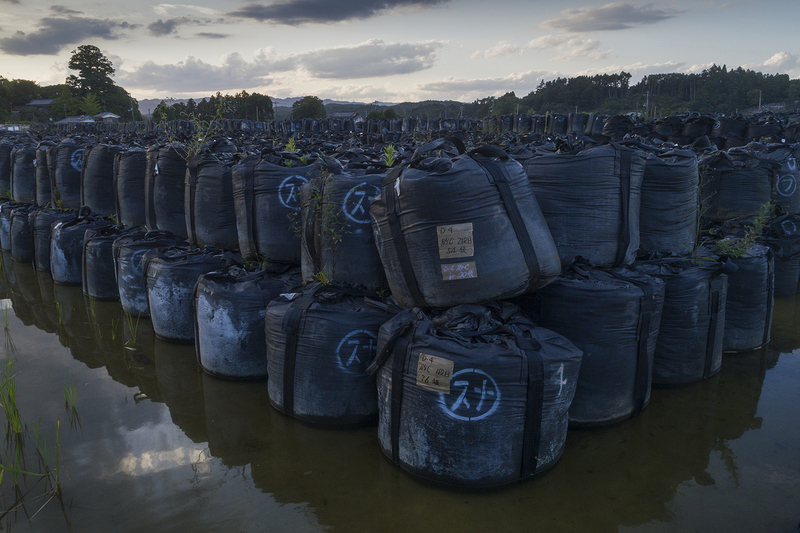 Even after decontamination, most of the area remains dangerously radioactive.According to Greenpeace, it is unacceptable to force the population to return to an area that is still significantly contaminated, even after cleaned up. 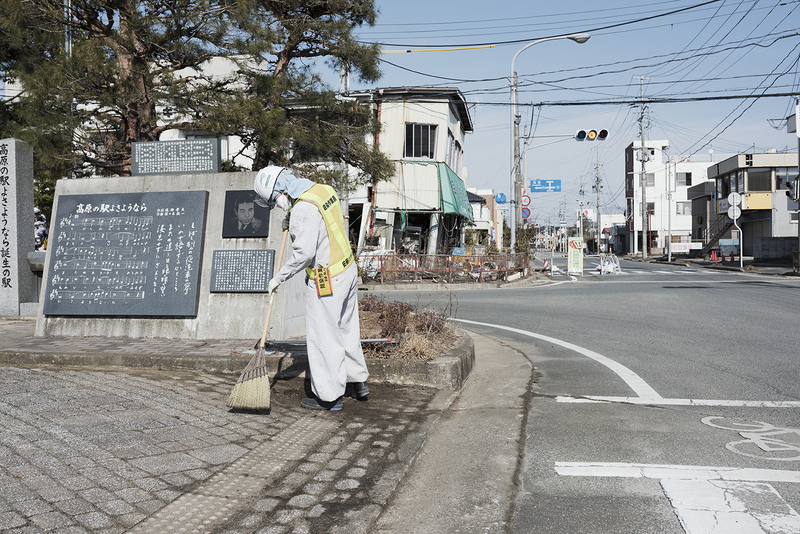 Fukushima radiation cleanup worker in the abandoned city Namie, located between 5-15 km north of the Fukushima Daiichi Nuclear Power Plant. The city had a population of 18000 people that was evacuated after the disaster. The evacuation area around Fukushima Daiichi is divided in 3 zones. Namie is now on the border of zone 2 and the highest zone 3 where people are not allowed to move back for a long time. Zone 2 is the area that is being prepared for people to return to, as early as 2017 when evacuated citizens will loose their right to the limited compensation they are now receiving. 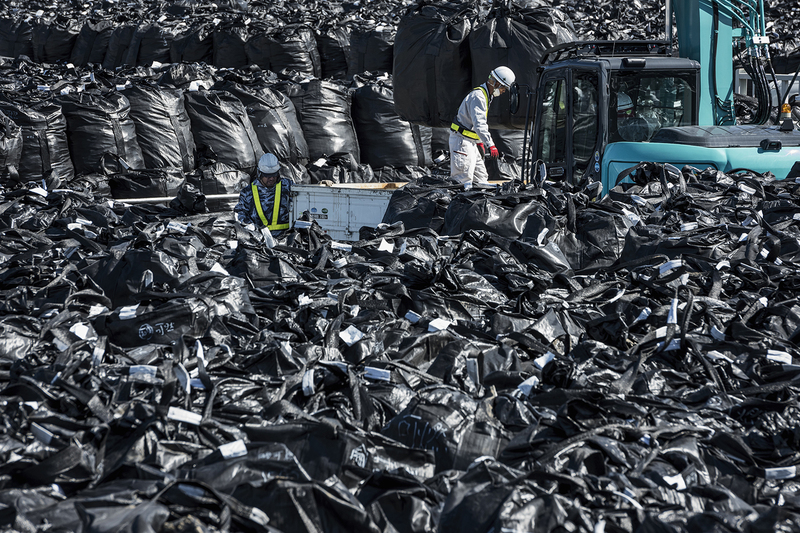 Even after decontamination, most of the area remains dangerously radioactive.According to Greenpeace, it is unacceptable to force the population to return to an area that is still significantly contaminated, even after cleaned up. 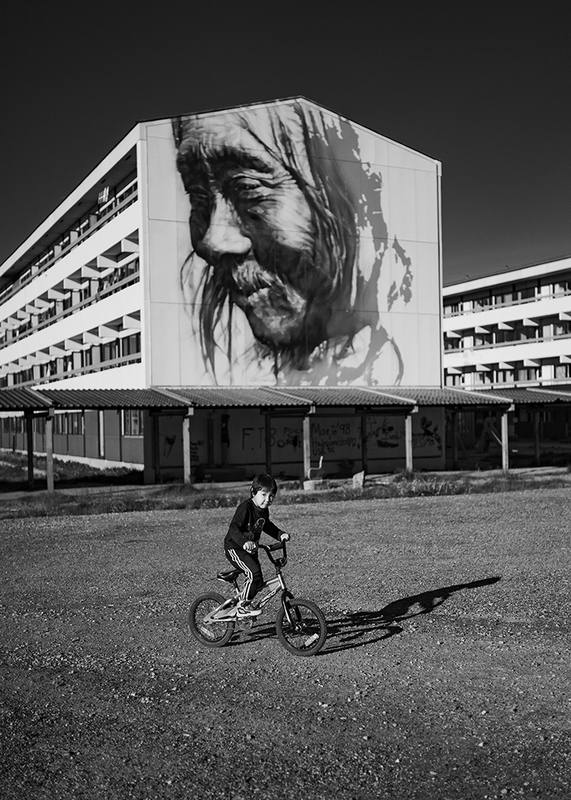 Kid bicycling in front of the mural "Pooŋojorteq", a portrait of a Greenlandic hunter painted by the Australian artist Guido Van Helte, in the capital town Nuuk on Greenland. 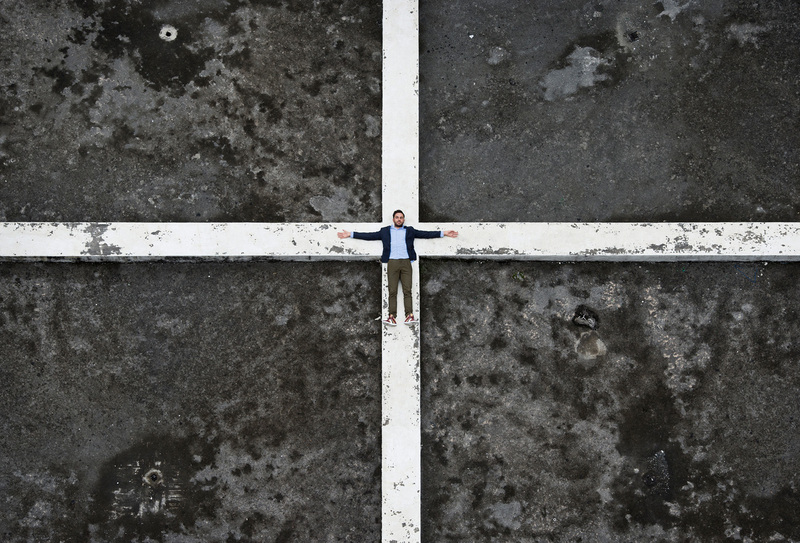 The painting is located on Blok 5, of the housing Bloks in Nuuk, built in the 1950’s in an attempt by the Danish government to modernise the Greenlandic society and its Inuit population. Through the closing down of social services in the remote settlements a proud hunter society was forcibly moved into these urban Blok’s to work industrial jobs in the city. 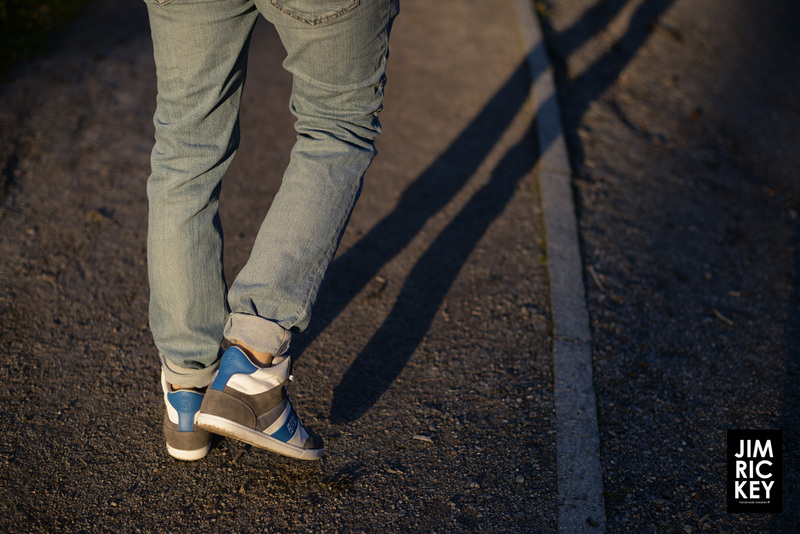 This rapid change over one generation resulted in high rates of suicide, alcoholism and many other social problems. 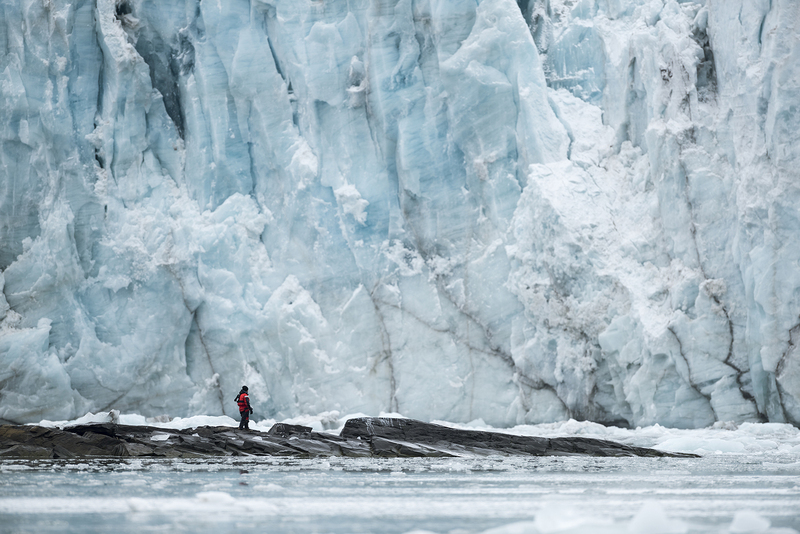 Melting glacier at Mikisfjord, the east coast of Greenland. 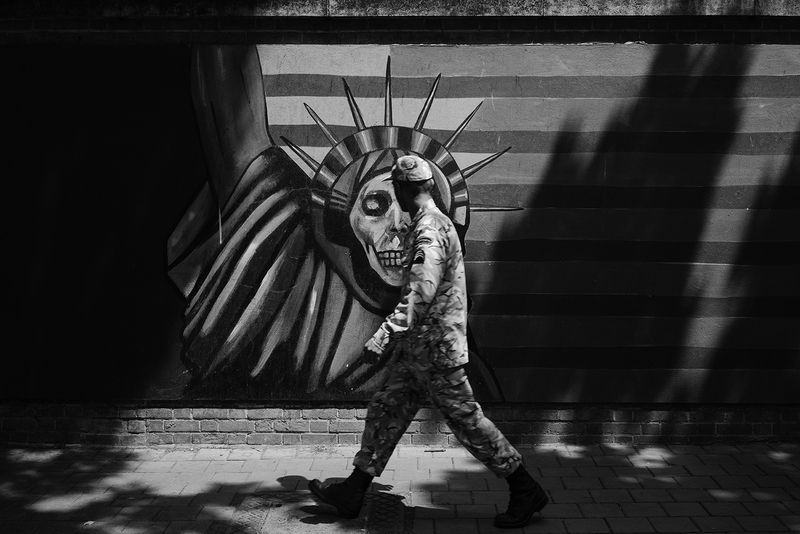 Iranian soldier looking at the Anti-American propaganda mural with an interpretation of the Statue of Liberty, at the former US Embassy 'Den of Espionage', on Talaqani Street in Tehran. The former US embassy is where the 1953 coup that brought down Mohammad Mossadegh was orchestrated. During the Islamic revolution 1979, students who feared a repeat coup stormed the embassy and held 52 diplomats hostage for 444 days. 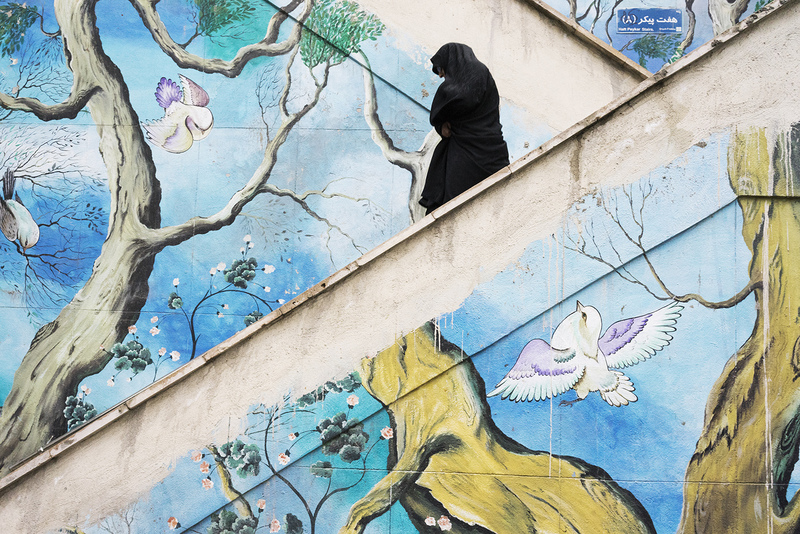 Woman wearing a Chador walking down stairs next to a colorful mural in the North of Tehran. After the islamic revolution in Iran 1979, women are forced to cover their hair wearing a Islamic hijab in public places or they can be sentenced to ten days, and up to two months imprisonment, according the the Islamic Penal Code. 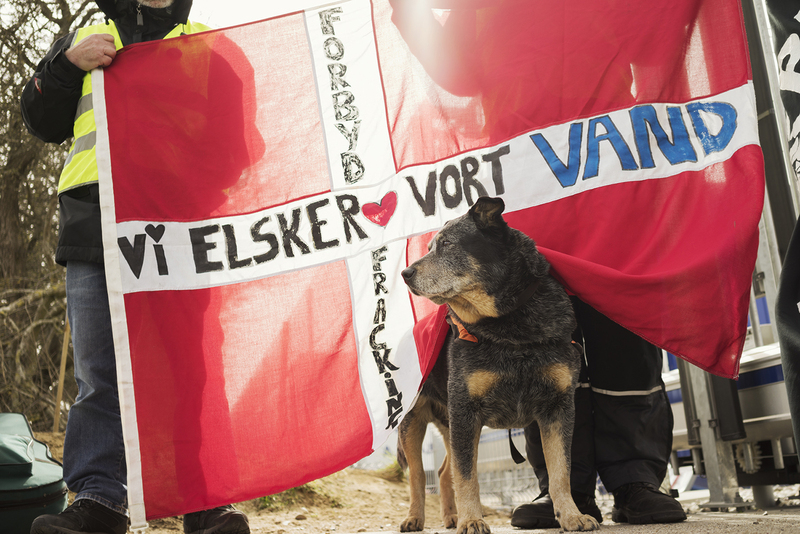 Anti-fracking protest in Dybvad, Denmark. Hydraulic fracturing, fracking, involves injecting a cocktail of water, sand and chemicals into the ground at high pressure in order to fracture the rocks and release the trapped gas.The French company Total was granted approval to explore for shale gas despite strong protests from the local community. Galapagos Sea Lion and pelicans. 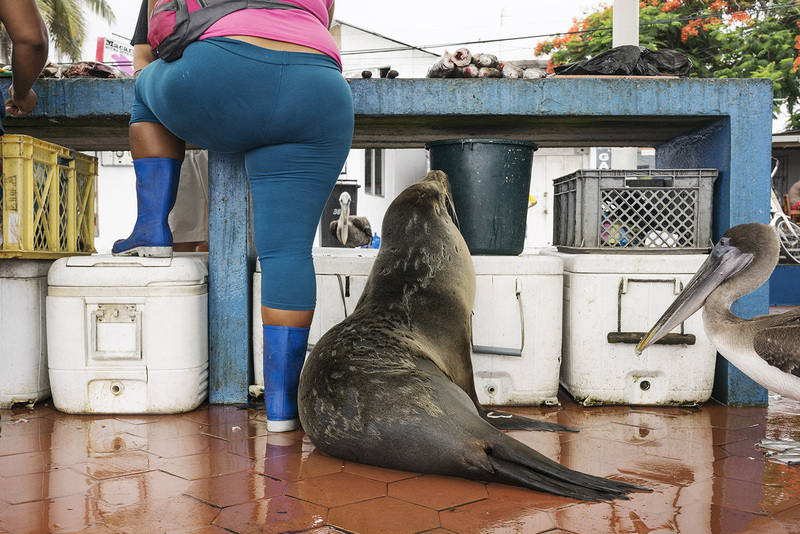 Fish market, harbour, Santa Cruz Island. Betio, Tarawa Island, Republic of KiribatiBeiauea Kataunati, runs her fishing business 'Big Eye' together with her husband. 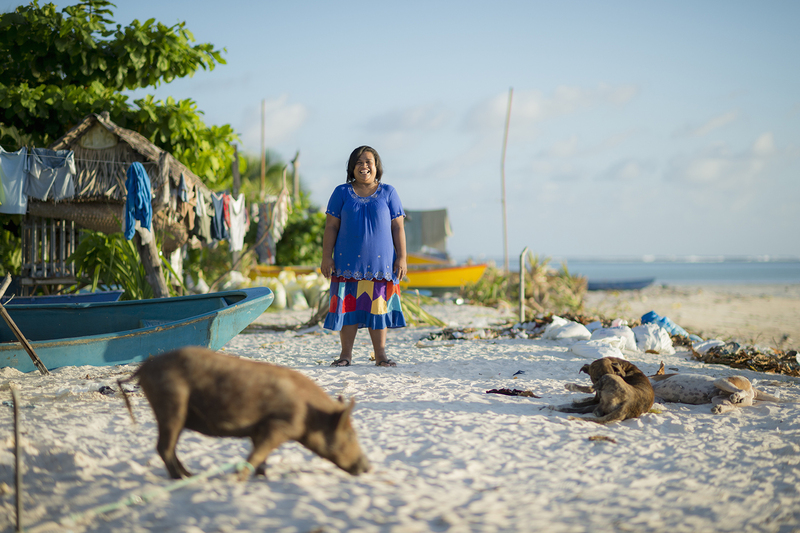 They own five fishing boats and a fish retail store, which provide employment for many of the local villagers in Betio on Tarawa Island, Republic of Kiribati. The fishermen mainly fish for yellowfin tuna, but their catch has been decreasing in the last few years. The result is that local fishermen are forced to go further out in order to catch enough tuna to feed their families, increasing fuel costs and safety issues. Tarawa Island, Kiribati, Pacific OceanArtisanal fisherman Touongo Bwebwere from Betio on Tarawa Island, line fishing for tuna, using a lure dragging it behind the boat. 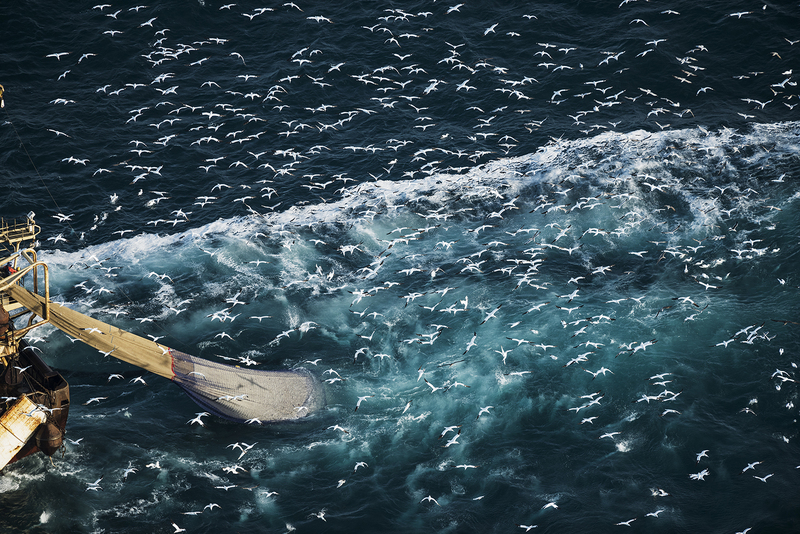 While many of the modern tuna purse seiner usehelicopter to search for tuna schools, the local fishermen are following the birds. 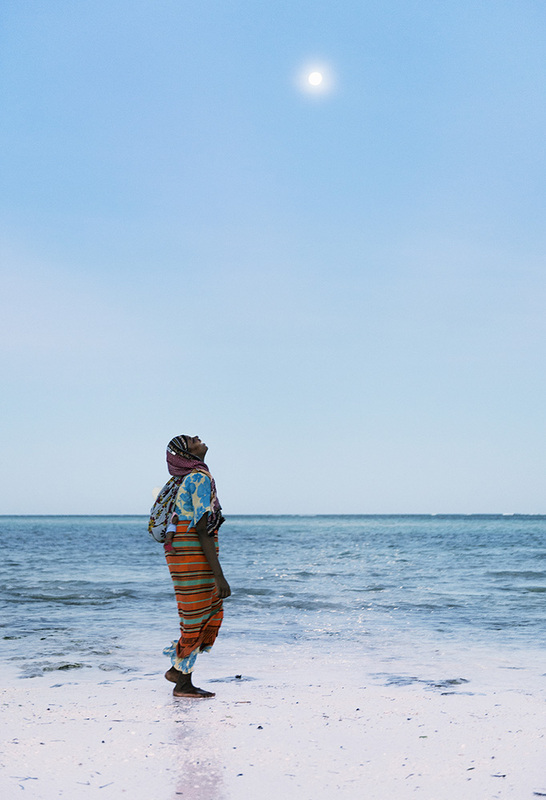 Kiribati is considered one of the least developed and poorest countries in the world with people whose livelihoods depend on the fish. 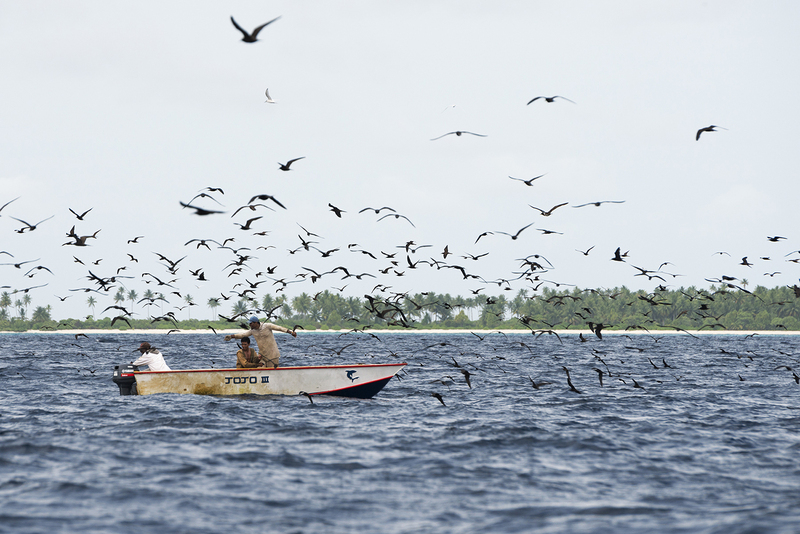 Since the arrival of foreign fishing vessels in Kiribati waters the catches for the local fishermen has been reduced. Tarawa Island, Kiribati, Pacific OceanArtisanal fishermen line fishing for tuna, using a lure and dragging it behind the boat. While many of the modern tuna purse seiner use helicopter to search for tuna schools, the local fishermen are following the birds. 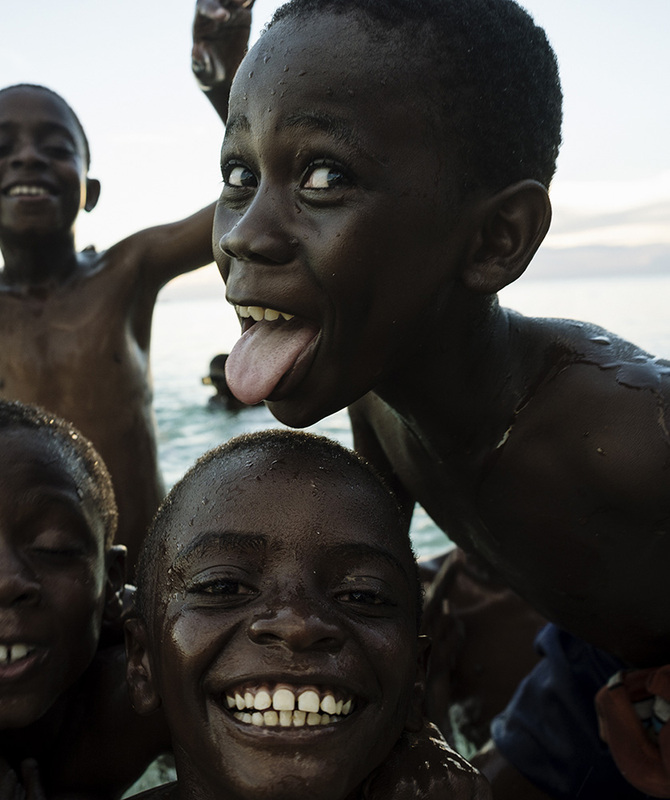 The nation is considered one of the least developed and poorest countries in the world with people whose livelihoods depend on the fish. 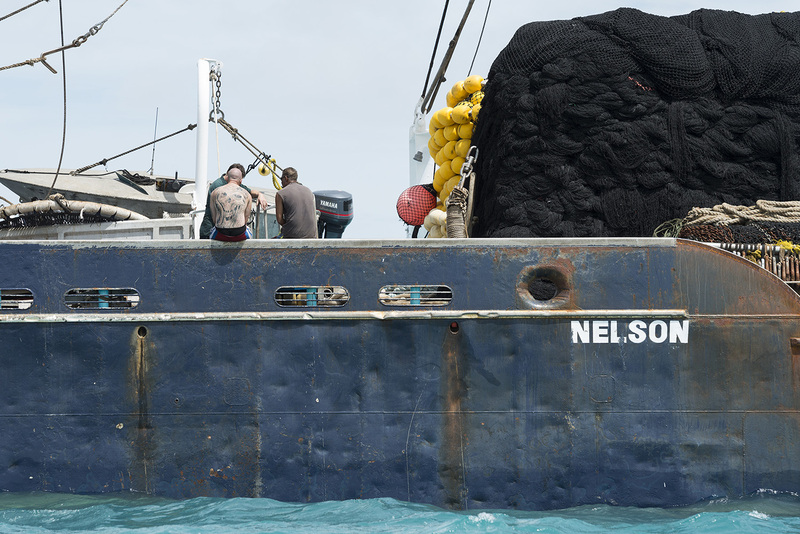 Since the arrival of foreign fishing vessels in Kiribati waters the catches for the local fishermen has been reduced. Tarawa Island, Kiribati, Pacific Ocean Purse seine fishing vessel Eagle outside the harbour of Betio, on Tarawa Island, waiting for transhipment of tuna to a reefer ship, a refrigerated cargo ship. Purse Seine fishing involves utilizing large nets to encircle shoaling fish. 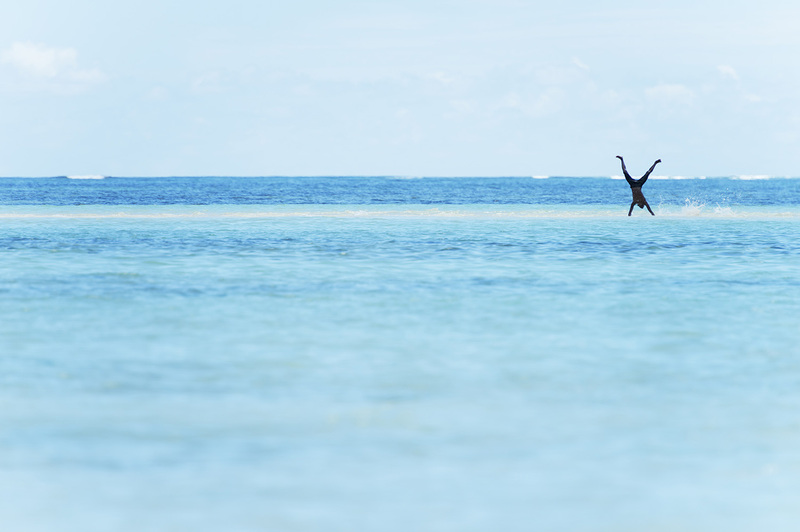 The nature of this fishing method also captures by-catch where fish or other marine species like turtles and baby sharks is caught unintentionally. Betio, Tarawa Island, Republic of Kiribati 8 years old Tokabwebwe Teinaura from the village Te O Ni Beeki, helping the fishermen carrying a yellowfin tuna ashore. 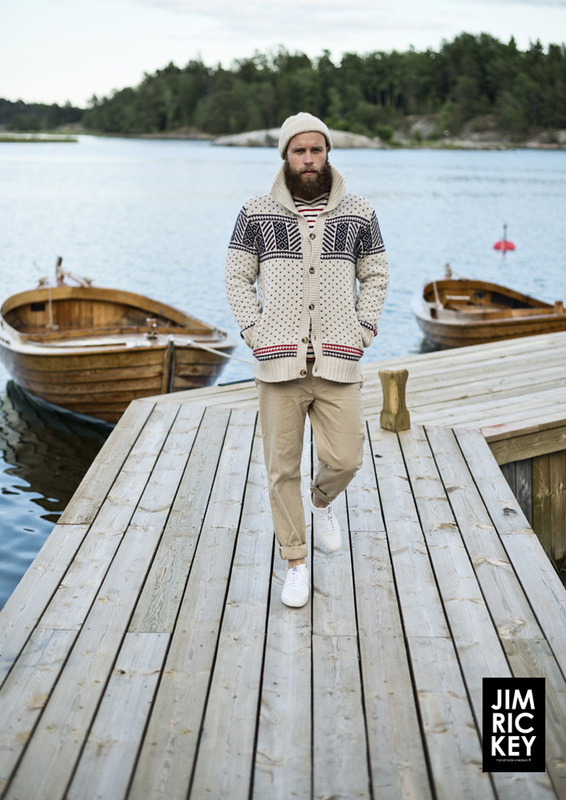 Just like his father and grandfather, he wants to become a fisherman when he grow up. 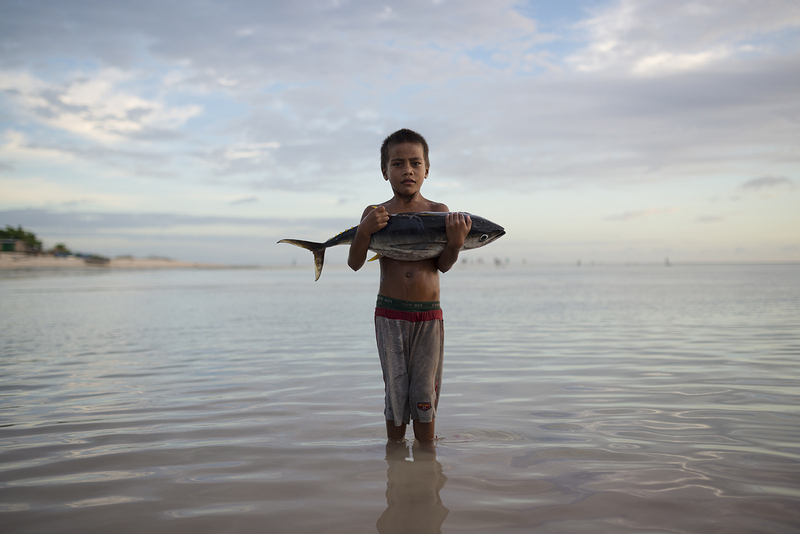 Fish are essential to Kiribati for income, food security, and employment. The average catch of tuna in Kiribati waters is over 250,000 metric tonnes per year - making it the second largest tuna fishery in the Pacific. The vast majority of that tuna is taken by foreign vessels. 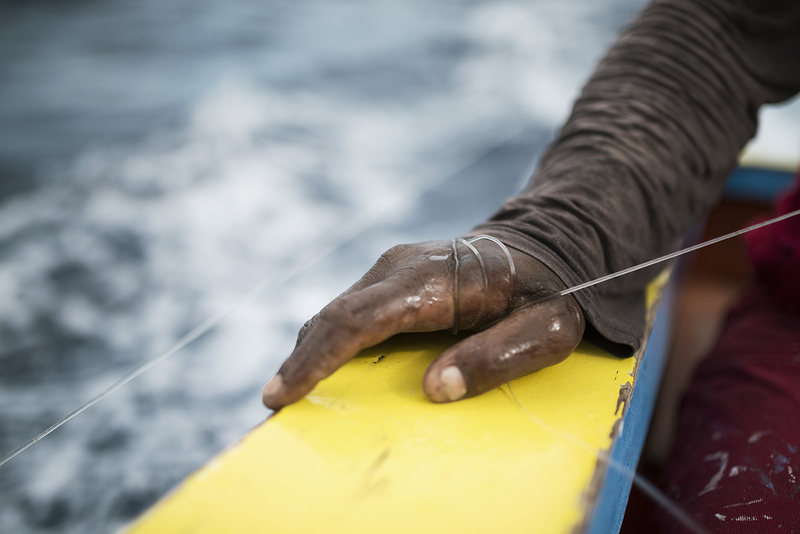 In contrast to local fishermen, fleets of foreign purse-seiners come from across the globe to fish tuna in huge nets for sale in lucrative overseas markets. 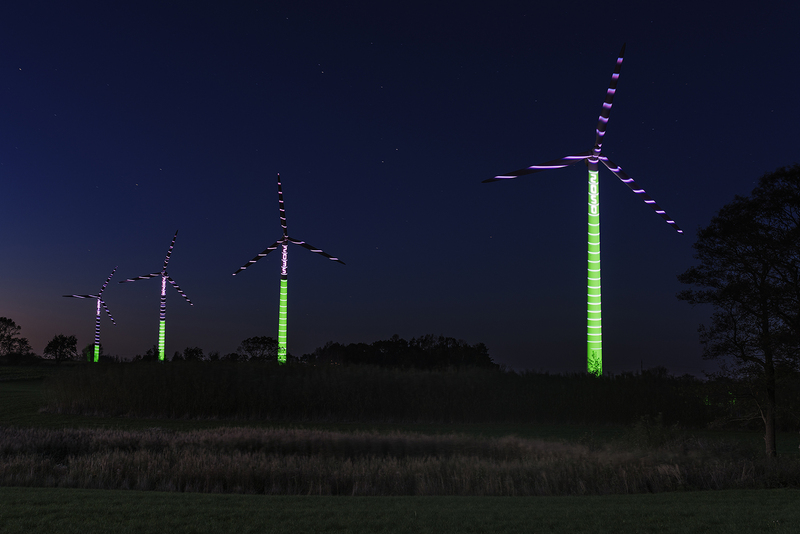 Light projection on wind turbines showing the Danish roadmap to 100% renewable energy, from 2010 to 2050. 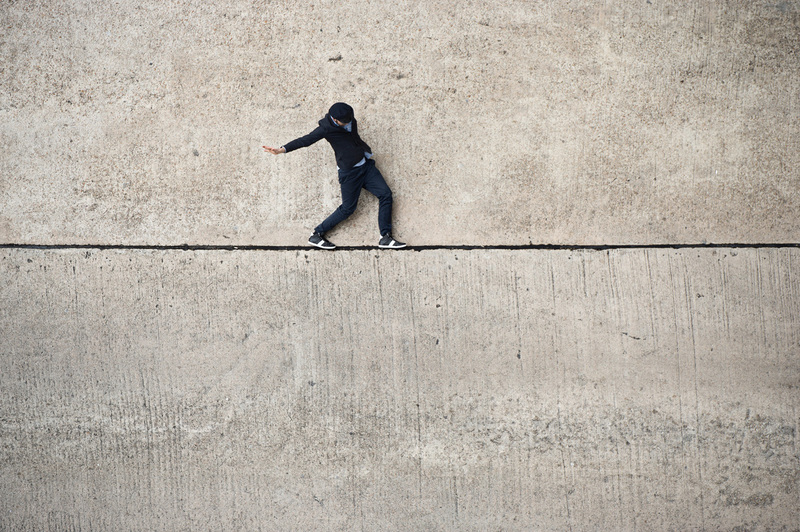 Renewable energy is a key solution to climate change, says the IPCC, currently meeting in Copenhagen, Denmark. 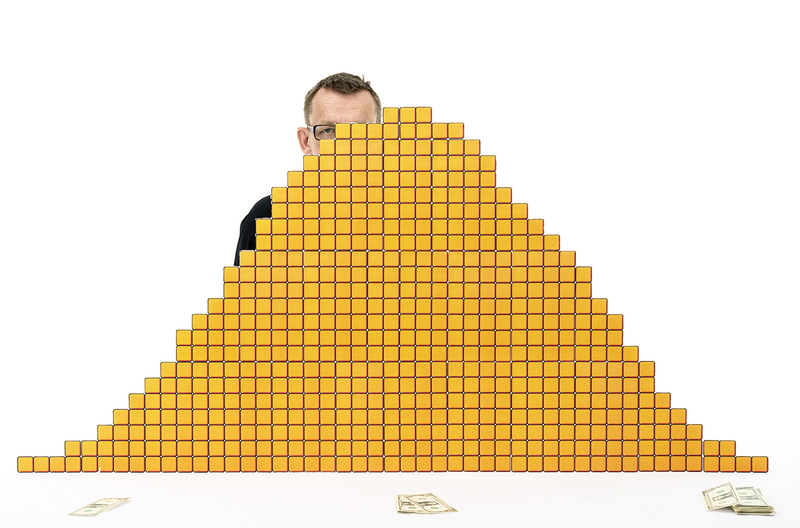 Portrait of global health expert and statistician Hans Rosling, standing behind his 'Dromedary World' income graph, made of carved cubes in styrofoam. 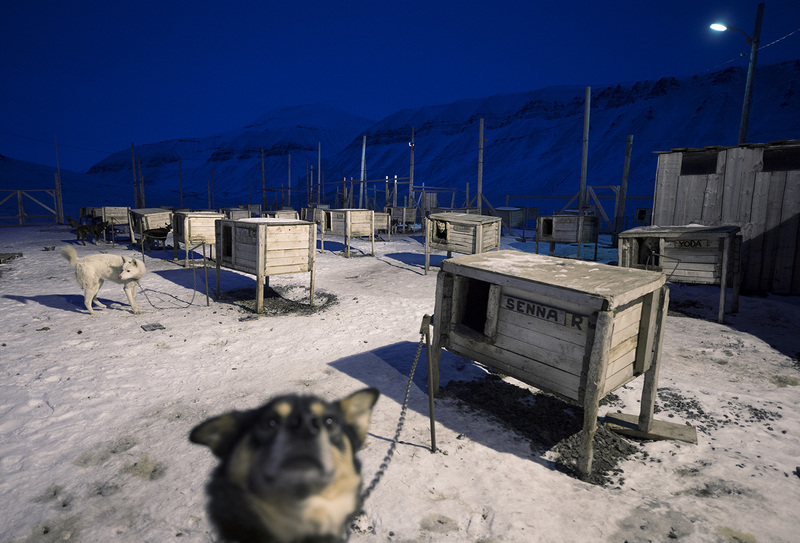 18/9 2014, Svalbard, Norway. 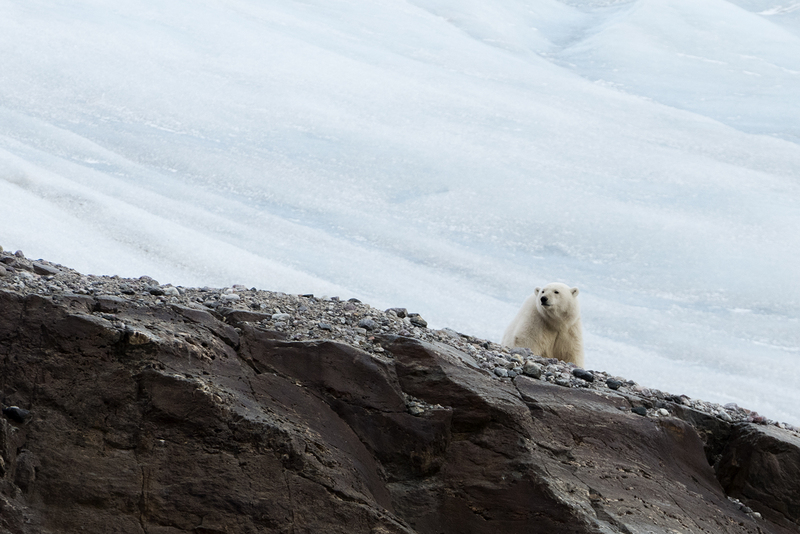 Polar bear at the retreating high Arctic glacier Nordenskioldbreen, on Svalbard. 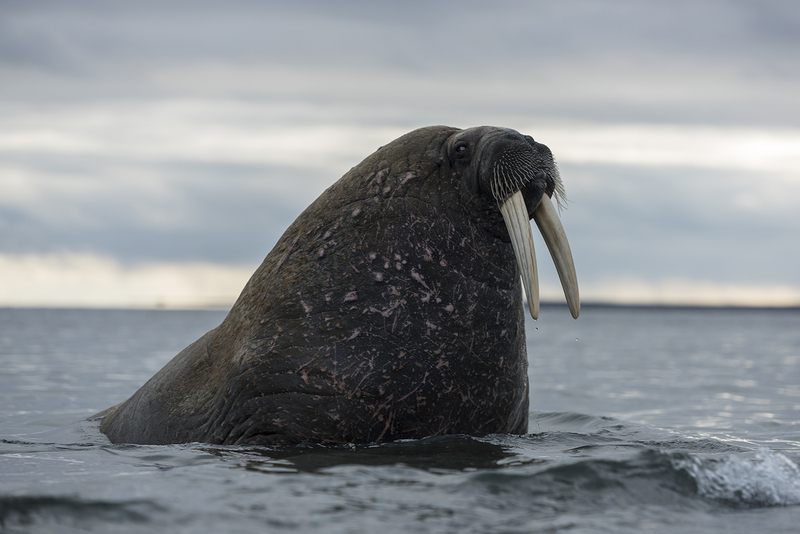 Walrus at Prins Karls Forland, Svalbard. 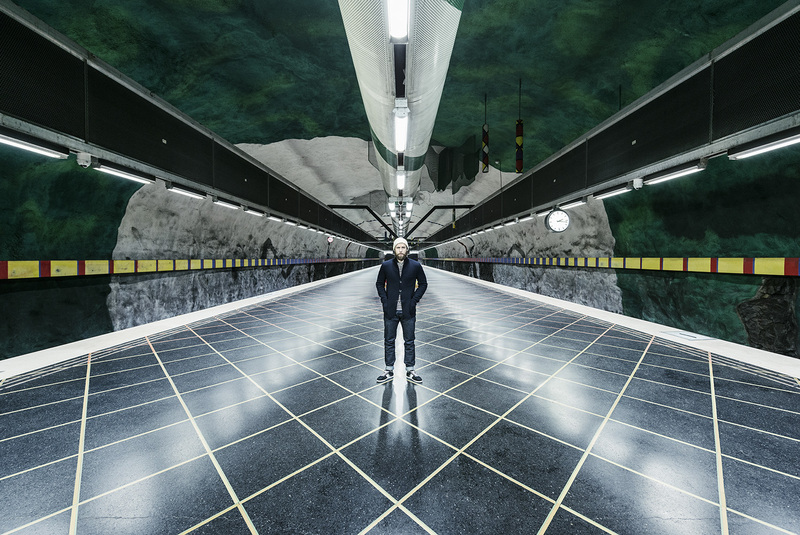 11/9 2014, Fjortonde julibreen, Svalbard.UN climate commissioner Yeb Saño from the Philippines visiting retreating glacier Borebreen on Svalbard. Yeb is sailing with Greenpeace to the Arctic Ocean to put the spotlight on climate change around the time of the sea ice minimum. 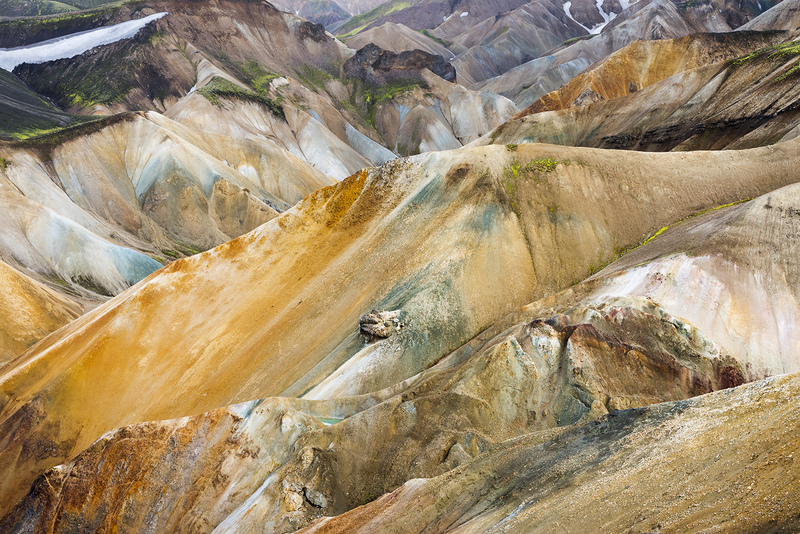 8/9 2014, Svalbard, Norway. 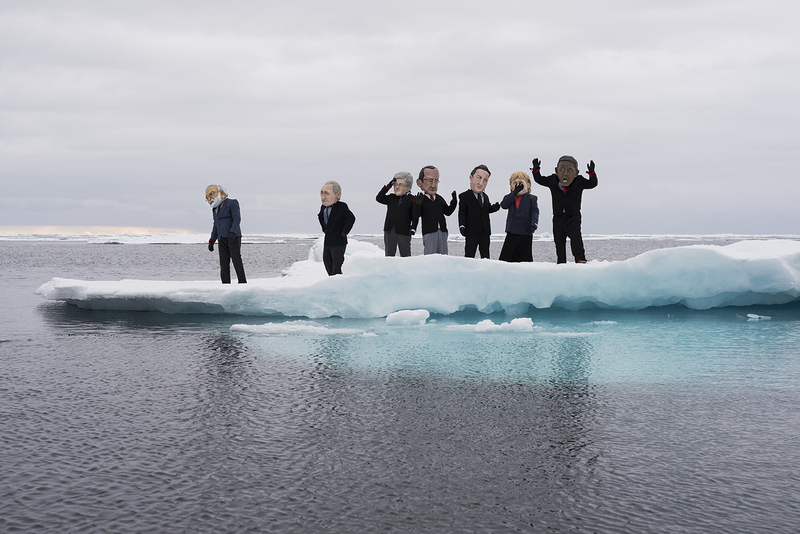 Greenpeace activists representing heads of state, wearing suits and papier-mâché heads over drysuits, on an ice floe in the Arctic Ocean northwest of Svalbard. The image is taken during a Greenpeace ship tour, as part of the Save the Arctic campaign, to underline the urgency of climate change most acutely felt in the Arctic, where ice cover is disappearing rapidly, and to urge the global leaders to take urgent action at the climate summit in New York September 23rd for a transition to 100% renewable energy system by mid-century while phasing out fossil fuels. 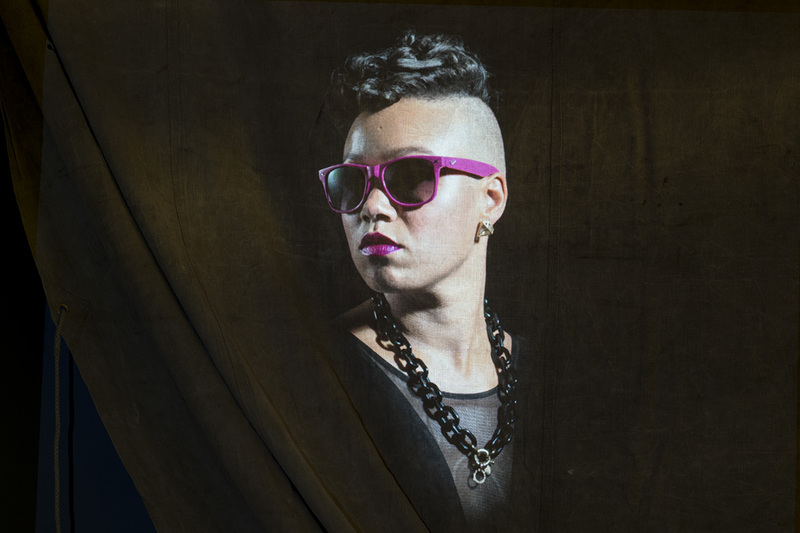 Props made by Christopher Kelly. The portrayed heads of state include Barack Obama (US), Vladimir Putin (Russia), David Cameron (UK), François Hollande (France), Stephen Harper (Canada), Angela Merkel (Germany) and Narendra Modi (India). 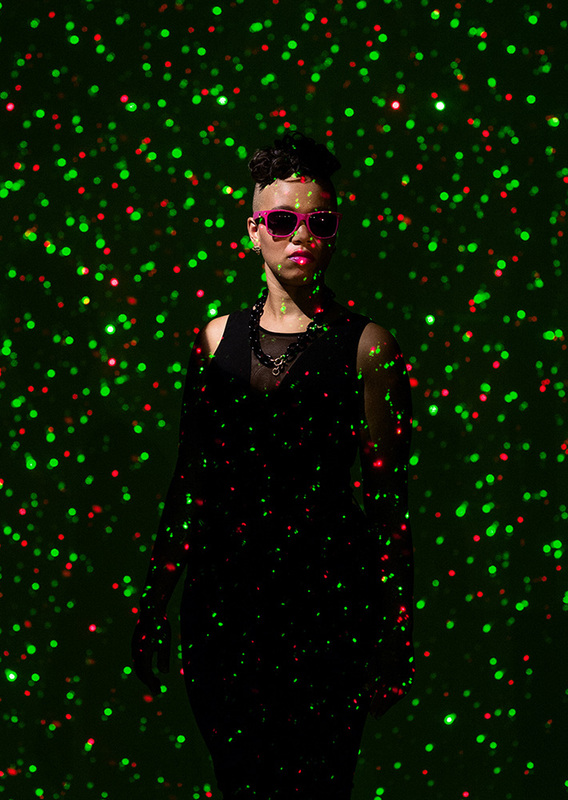 Props made by Christopher Kelly. 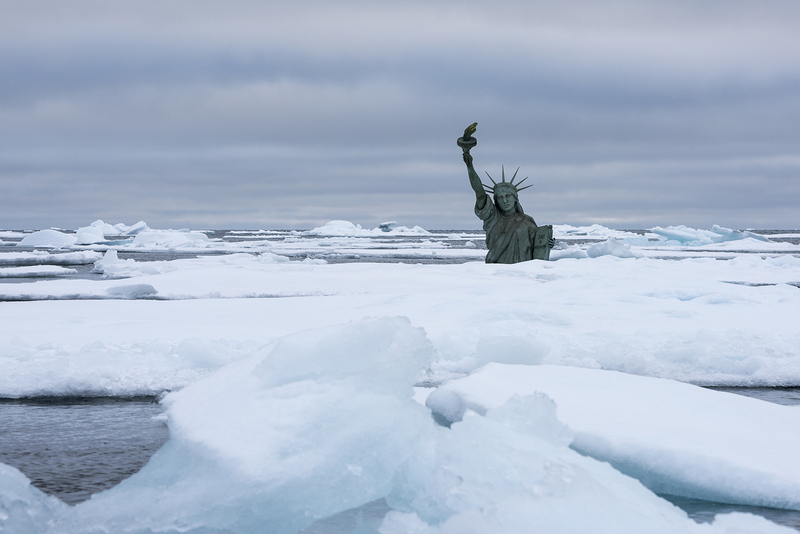 7/9 2014, Svalbard.A submerged Statue of Liberty in the middle of the Arctic Ocean visualises the effects of climate change on sea level rise and extreme weather events. 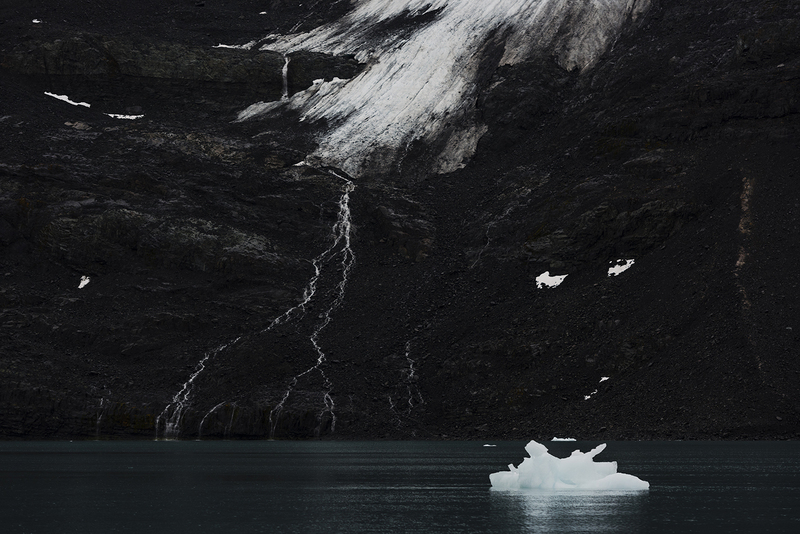 Image is shot in the Arctic Ocean northwest of Svalbard, Norway during a Greenpeace ship tour as part of the Save the Arctic campaign, working to create an Arctic sanctuary. 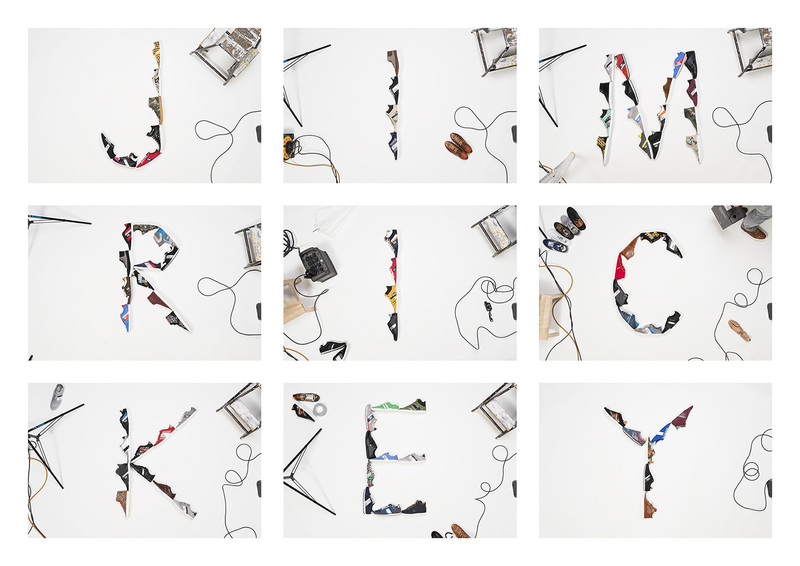 Advertise for client Jim Rickey. 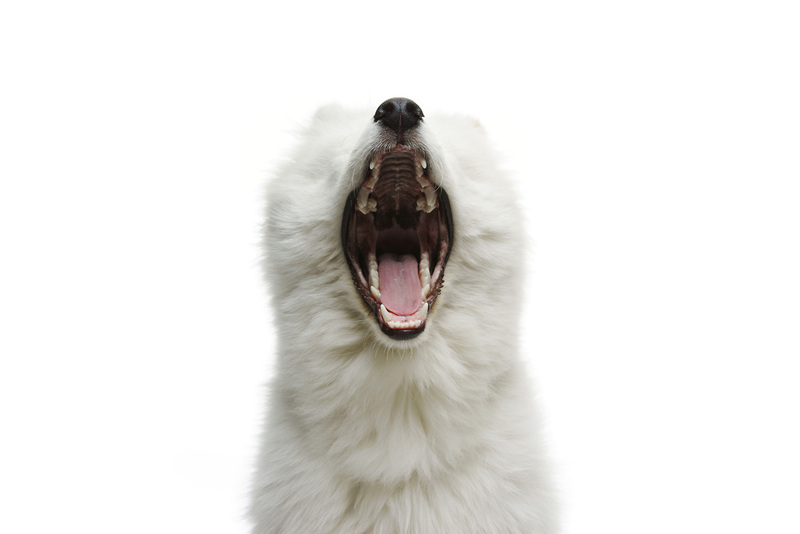 White samoyed dog portrait in the studio, white background. 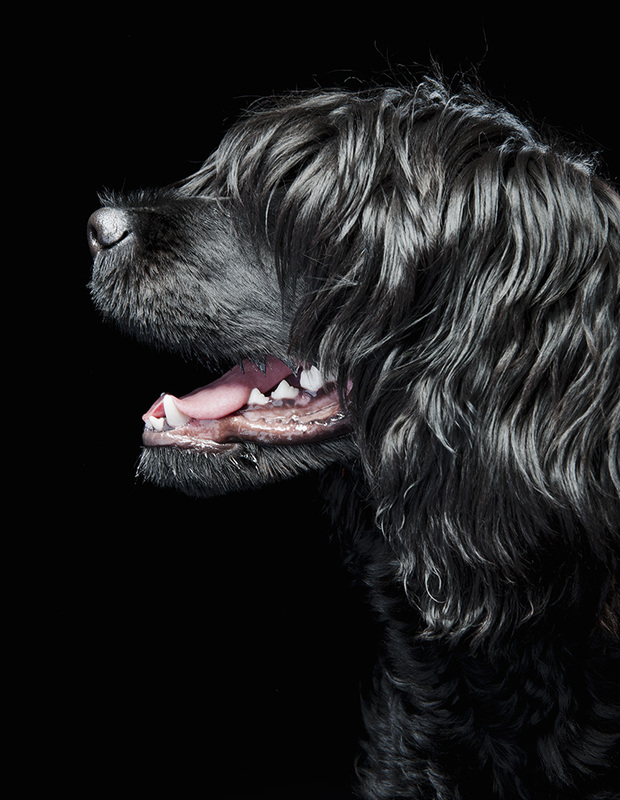 Graphic studio profile portrait of black Portuguese Water Dog. 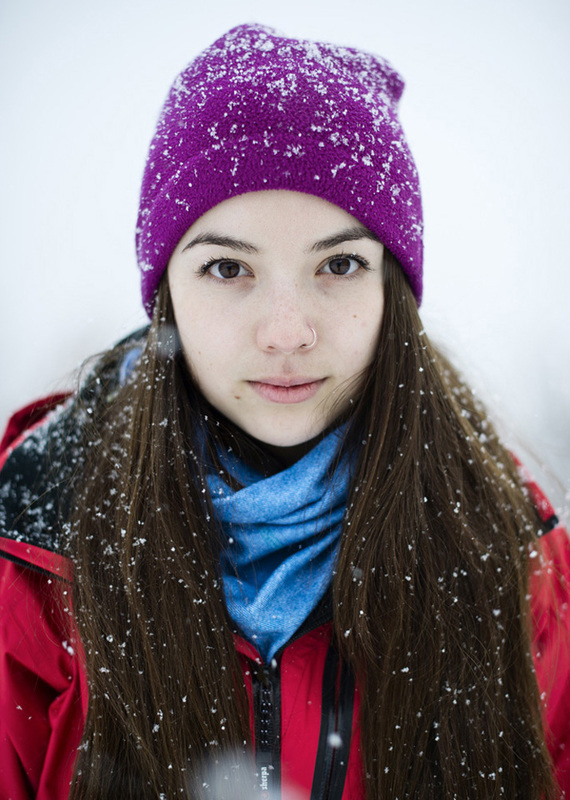 Renny Bijoux, youth ambassador from the Seychelles, participating in the Greenpeace North Pole expedition. 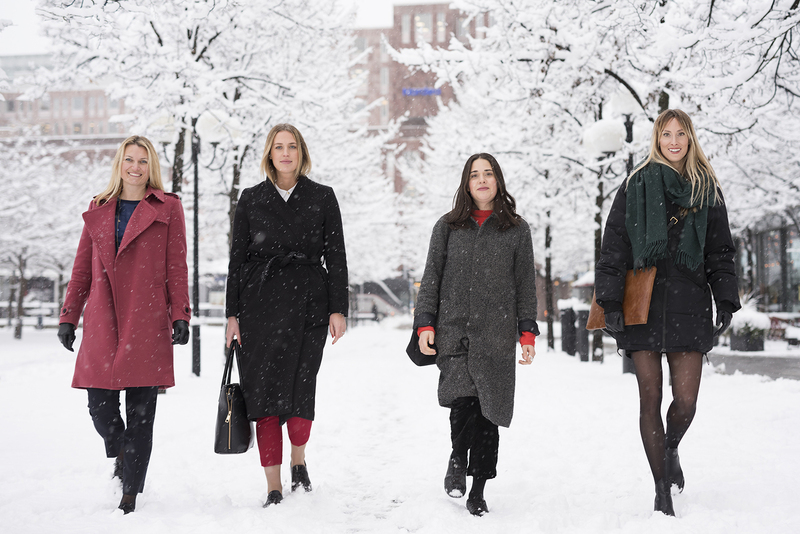 The team, most of them without any previous polar experience, skied to the North Pole and lowered a capsule 4.3 Km onto the sea bed, containing signatories to their campaign to protect the Arctic from industrial development. 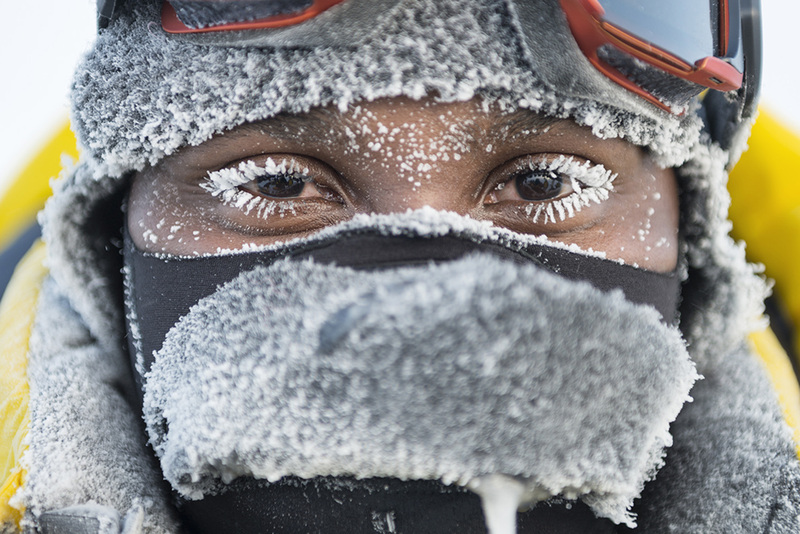 Portrait of a Russian worker at Ice Camp Barneo, North Pole. 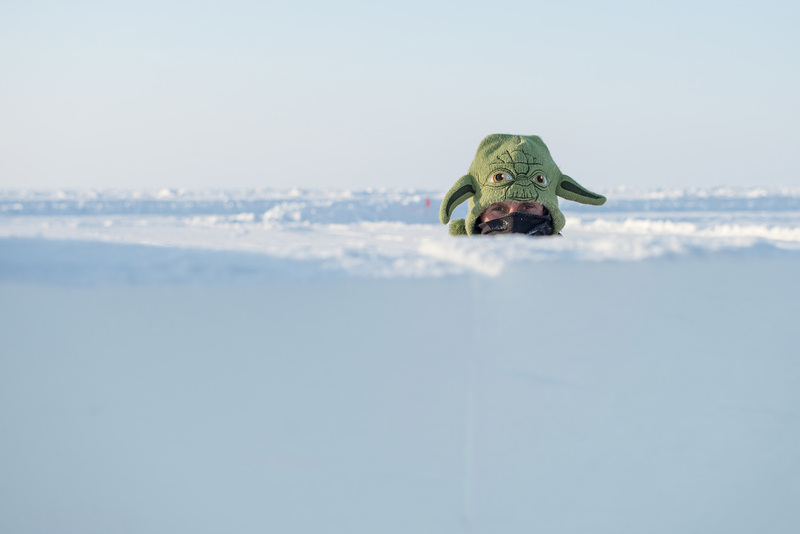 Greenpeace North Pole expedition. 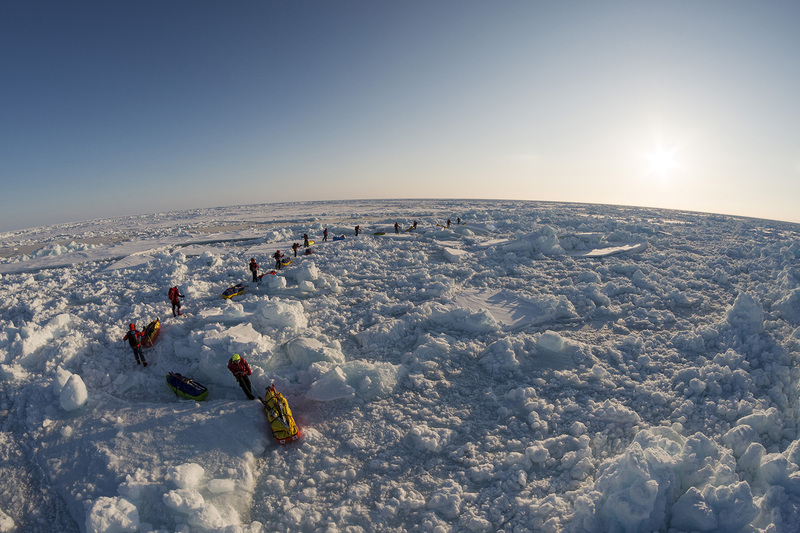 The team, most of them without any previous polar experience, skied to the North Pole and lowered a capsule 4.3 Km onto the sea bed, containing signatories to their campaign to protect the Arctic from industrial development. 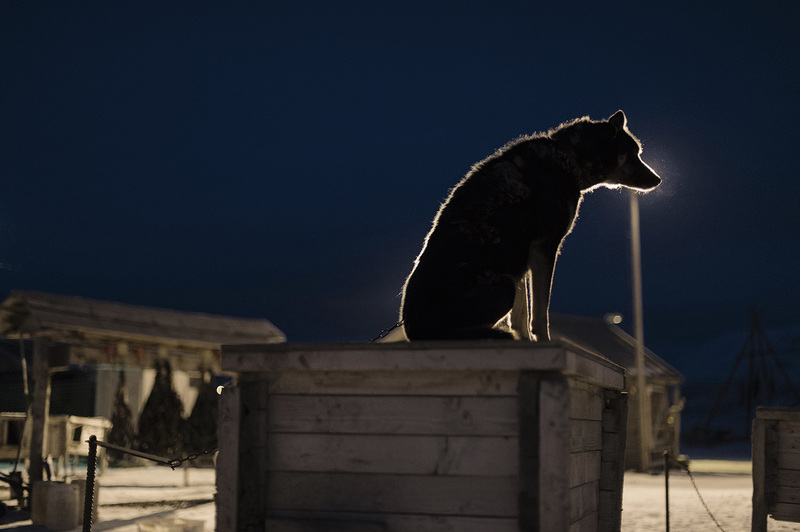 Alaskan Husky, sled dogs, in -18 degree Celsius (°C), during the dark period, Spitsbergen Longyearbyen is the most northern town in the world with its 78°13'N Latitude. 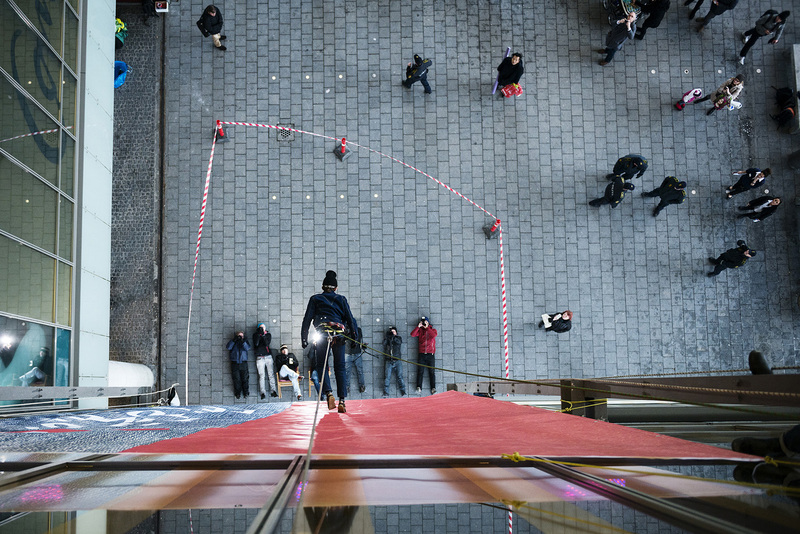 Activists stage a 'vertical catwalk' action in front of the Levi's store in the biggest mall in Copenhagen, Denmark. 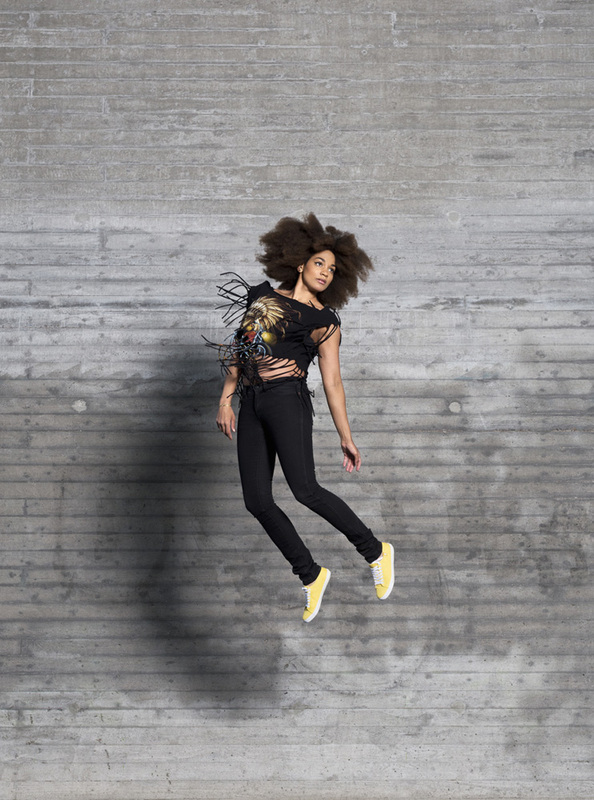 They call Levi's to engage fully in the process of ending the use and release of hazardous chemicals in connection with the production of their clothing. 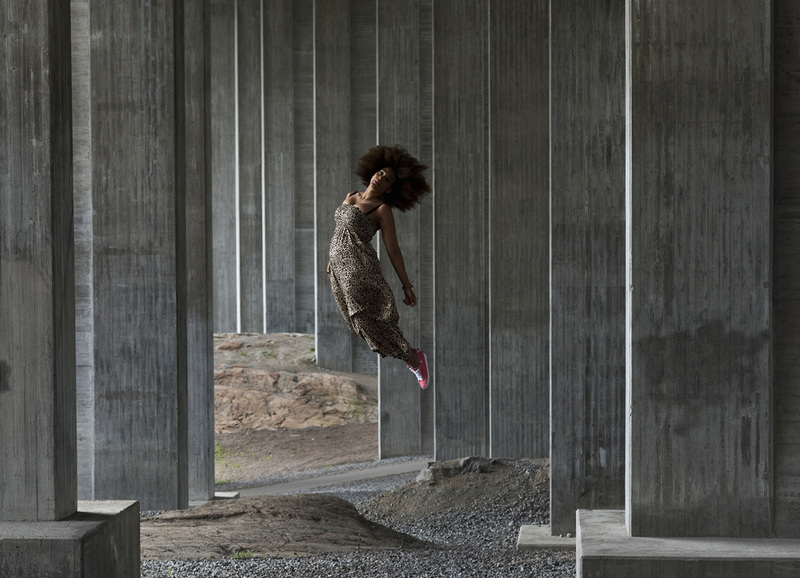 Malmö, Sweden, July 18, 2012. 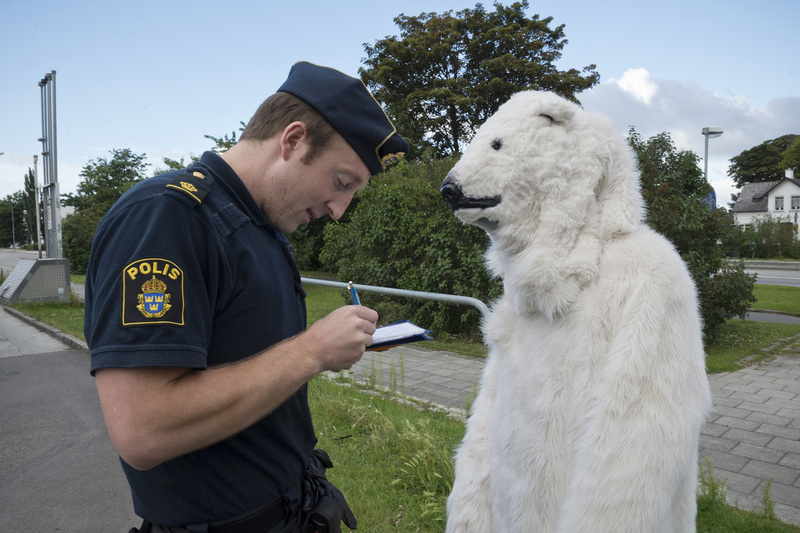 A Greenpeace activist in Polar bear suit being interrogated by the police during a protest at a Shell gas station in Malmoe Sweden. 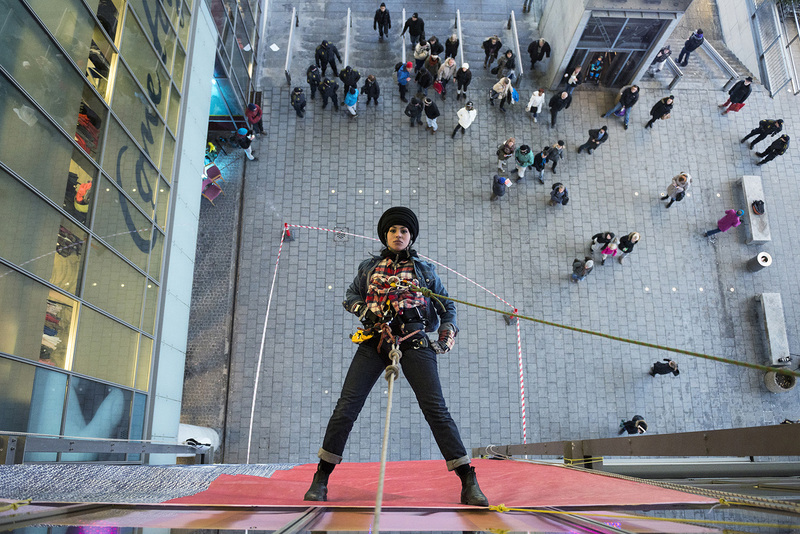 The activist are demonstrating against Shell's plan to drill for oil in the Arctic seas off the coast of Alaska this summer. 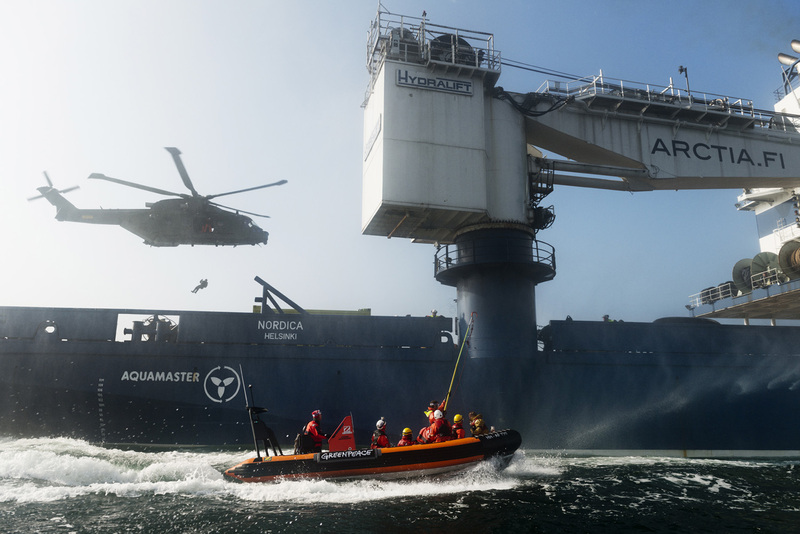 Danish police rappel down from a helicopter to a Shell-contracted icebreaker, the Nordica from Finland, that is being intercepted by Greenpeace on it's journey towards the Arctic. Mt Fuji, Japan - February 28, 2012 A multinational Greenpeace alpine team delivered similar messages of support and hope for the victims of the nuclear disaster Fukushima Daiichi to the summit of Mt Fuji. 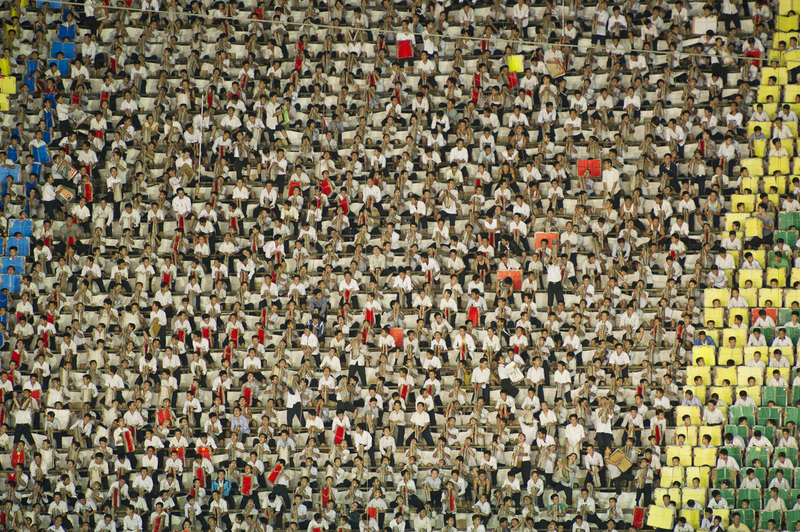 Collected from thousands of people in Japan and all over the world, theenvironmental organisation hopes that the messages will help unite thepeople of Japan in opposition to nuclear power, and encourage theJapanese authorities to listen to them. 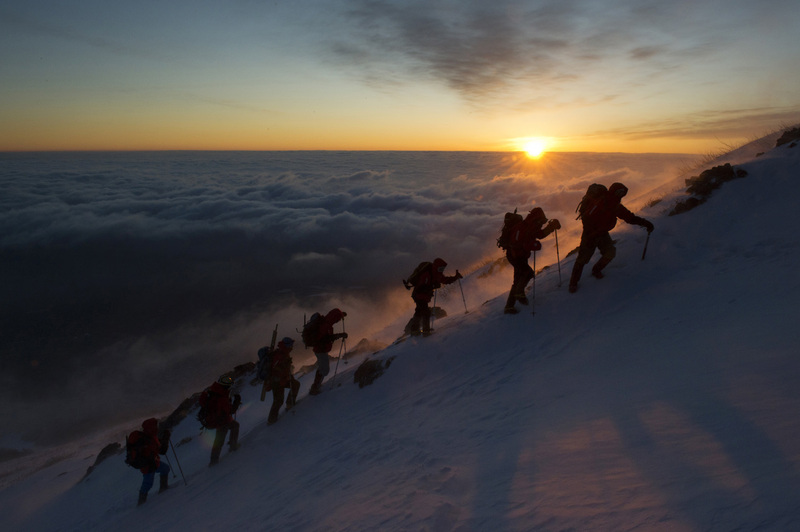 The climbing team is comprised of elevenalpinists from Canada, France, Germany, Hungary, Italy, Poland,Sweden, Switzerland and the USA scaled the mountain. 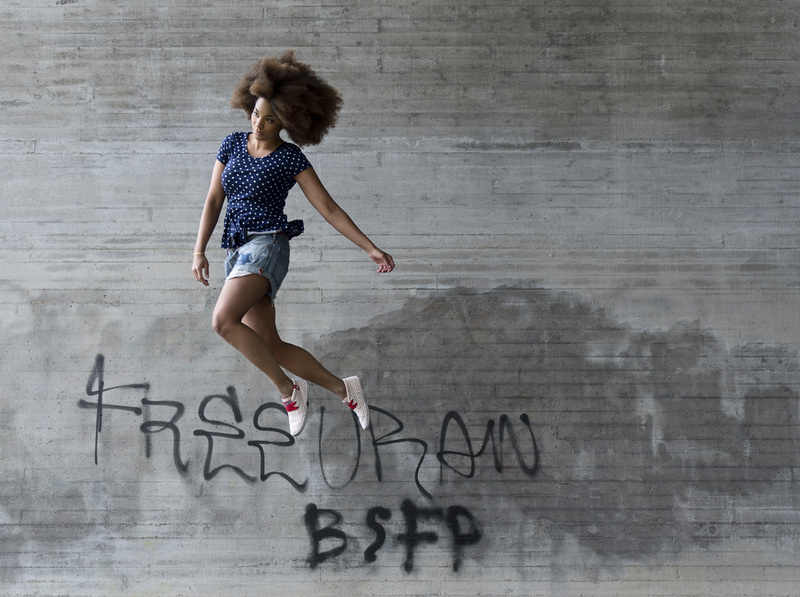 Portrait of Greenpeace activist Monica Laflamm from Canada. 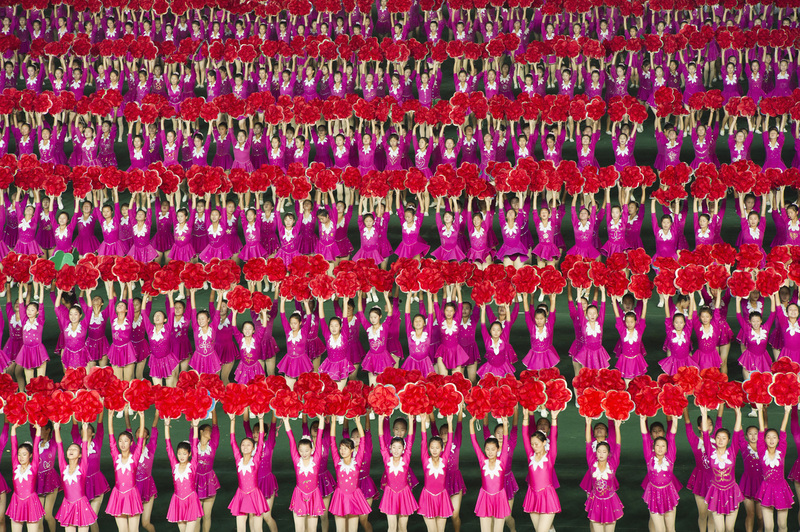 Arirang Mass Games at Mayday Stadium in Pyongyang, North Korea, a 120,000 performer-strong spectacle of gymnastic choreography with military precision, in one of the biggest sport arenas in the world. 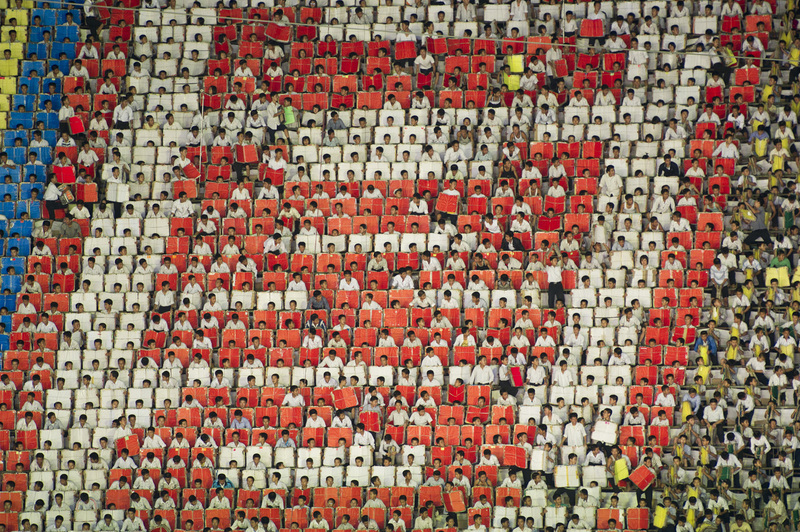 At the stand behind the field 20,000 person flip card mosaic to form detailed composite pictures.The performance takes place for two months in August and September. From as young as 5 years old kids are being selected to participate in the Mass Games. 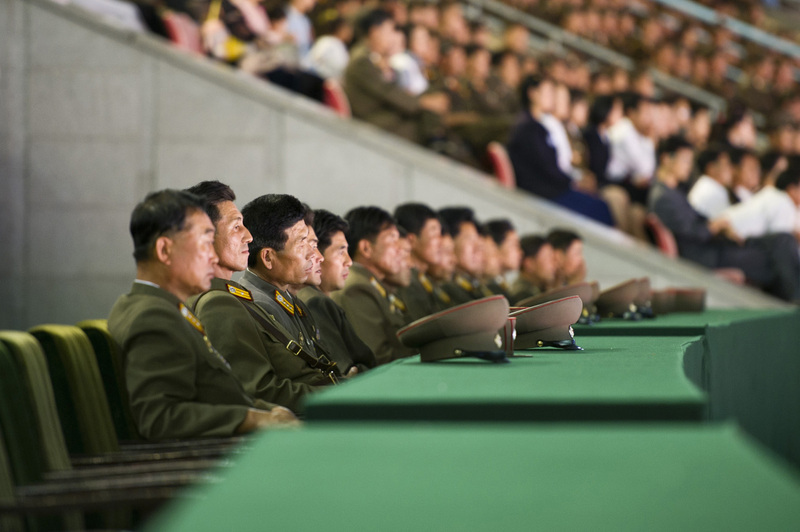 North Korean military officers watching Arirang Mass Games at Mayday Stadium in Pyongyang, North Korea, a 120,000 performer-strong spectacle of gymnastic choreography with military precision, in one of the biggest sport arenas in the world. 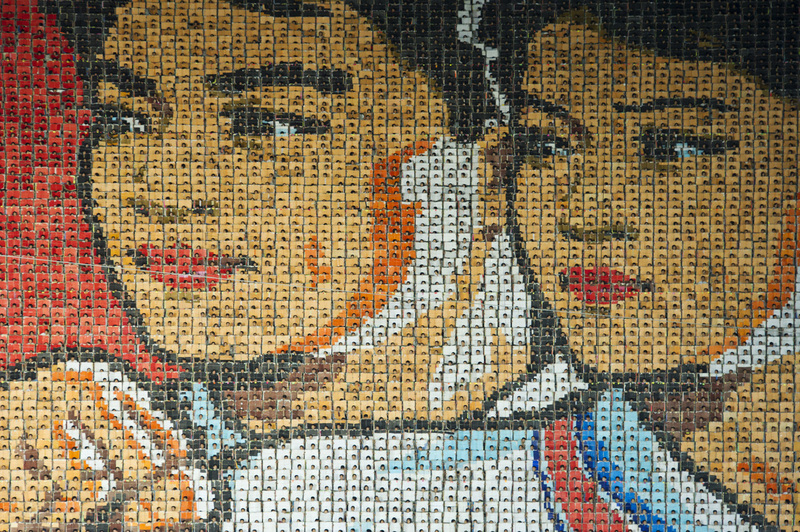 At the stand behind the field 20,000 person flip card mosaic to form detailed composite pictures.The performance takes place for two months in August and September. From as young as 5 years old kids are being selected to participate in the Mass Games. 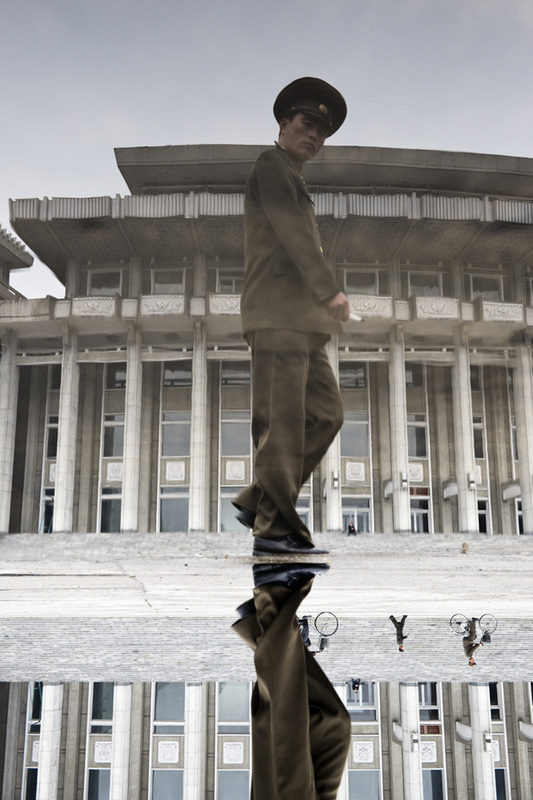 Reflection of a soldier outside Hamhŭng Grand Theatre. 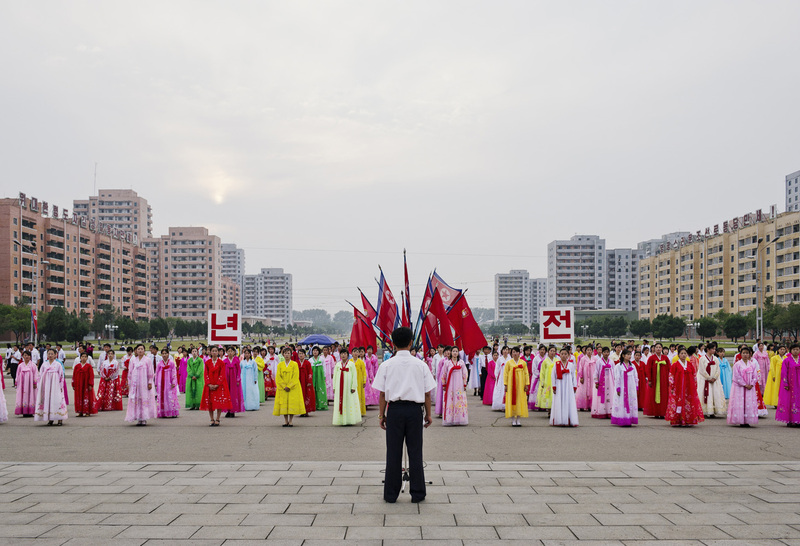 Hamhŭng is an important chemical industry center in the DPRK. 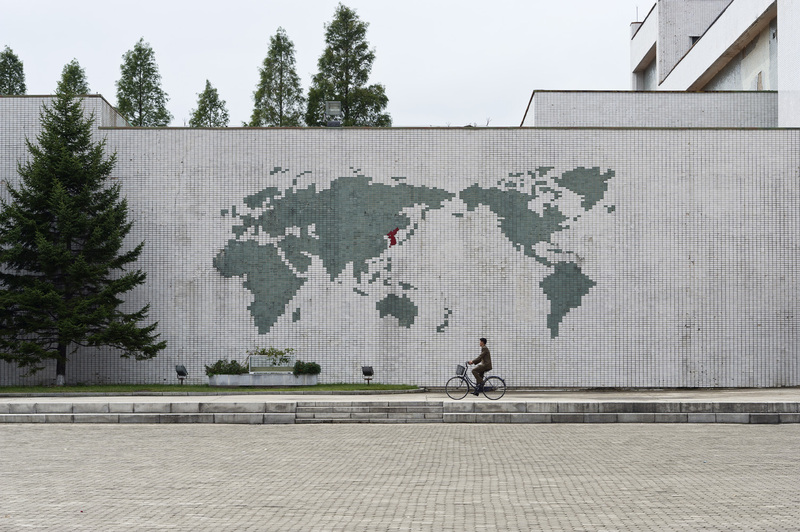 It is an industrial city which serves as a major port for North Korean foreign trade. 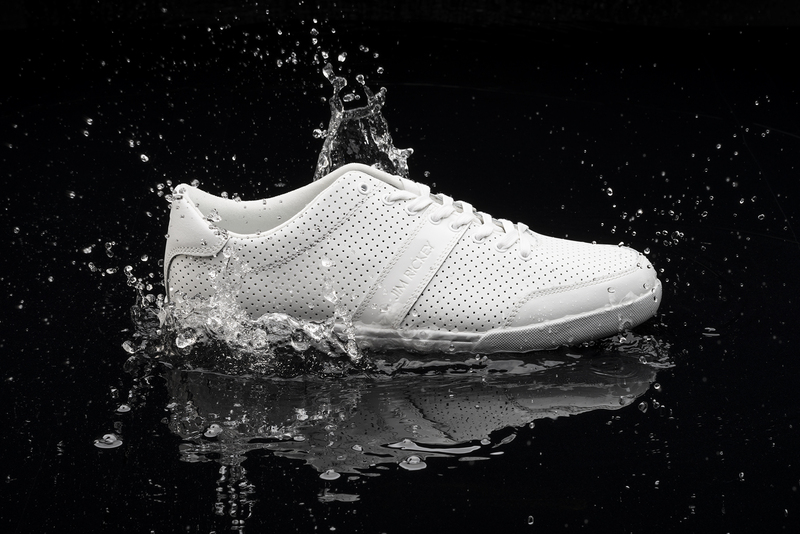 Production includes textiles (particularly vinalon), metalware, machinery, refined oil and processed food. 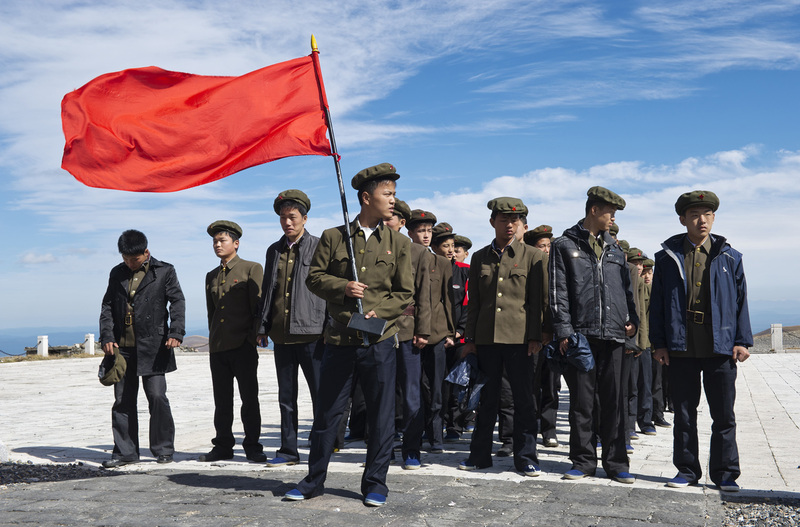 It is also said to be North Korea's largest center of methamphetamine production both for export and illicitly for internal consumption. 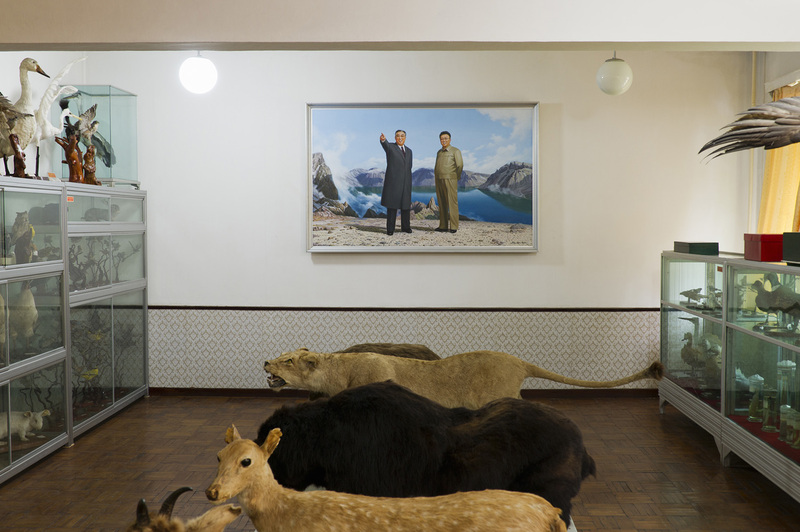 Painting of North Koreas late Great Leader Kim Il-sung and his son Kim Jong-Il standing on top of the volcanic mountain Baekdu, at a middle school in Pyongyang. 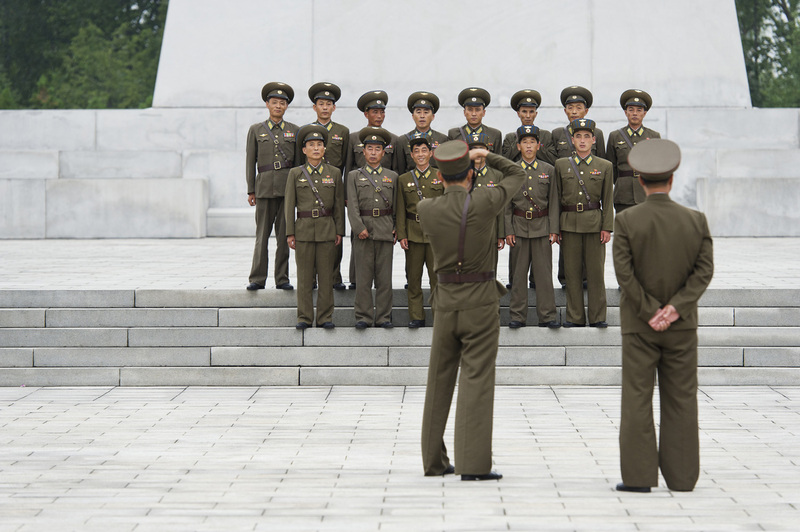 North Korean soldiers taking a group portrait in the capital Pyongyang. 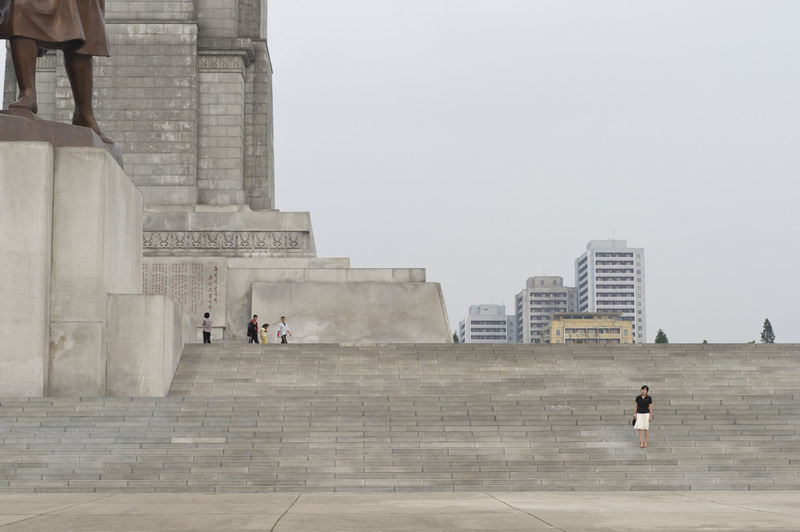 North Korean woman standing at the stairs of the tower of the Juche Idea, a 170-meter tall monument. 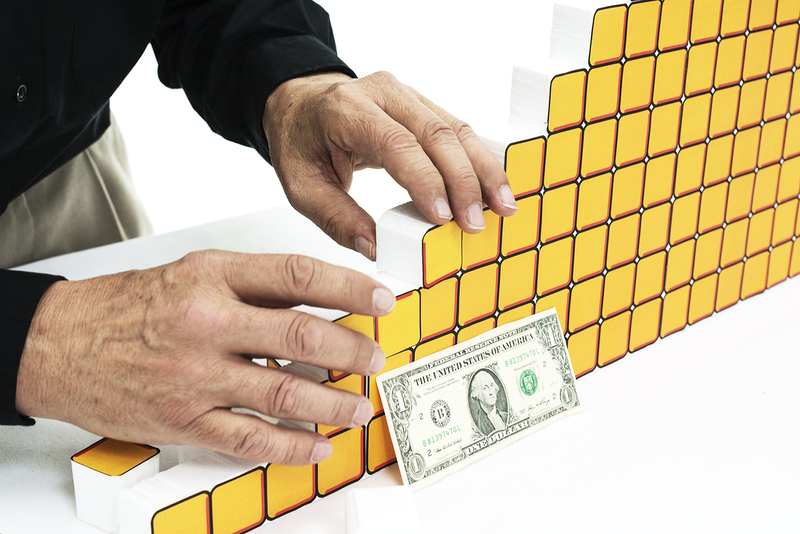 It is presumed to be modeled on the Washington Monument, which it surpasses in height by less than a metre. 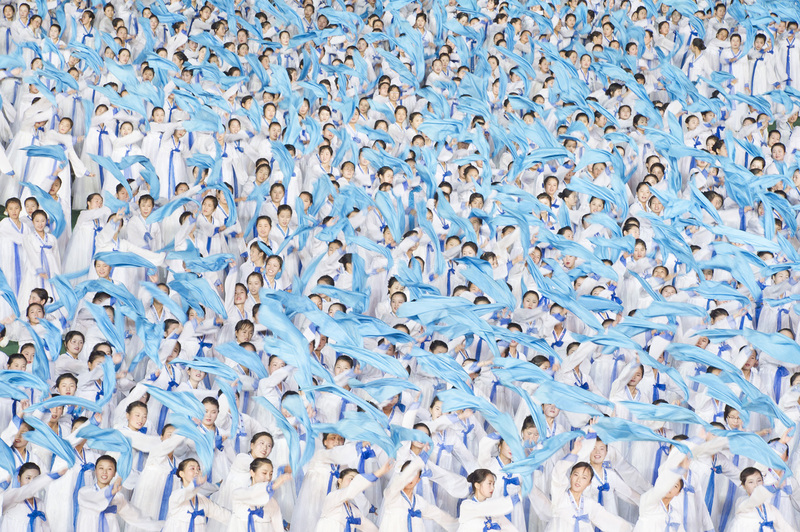 Mass Dance in Pyongyang on the National Day, 63rd Anniversary of DPRK. 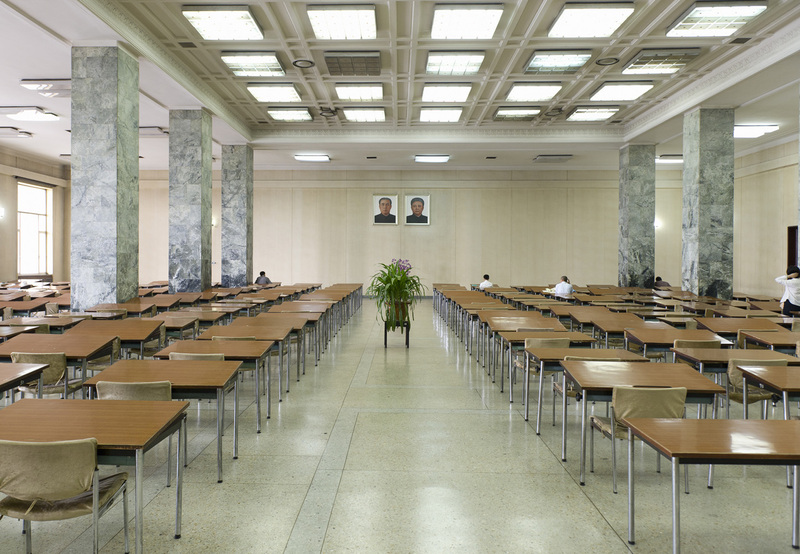 Grand People's Study House, North Koreas biggest library and educational centre. 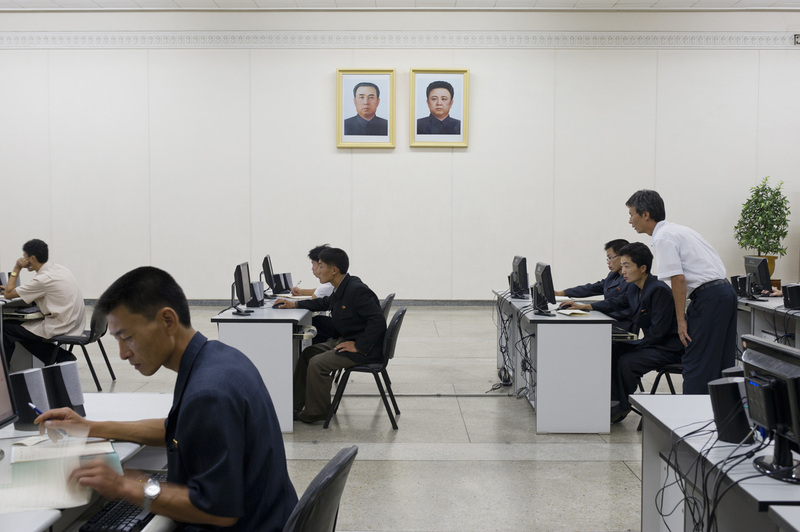 It has a total floor space of 100,000m2 and 600 rooms. 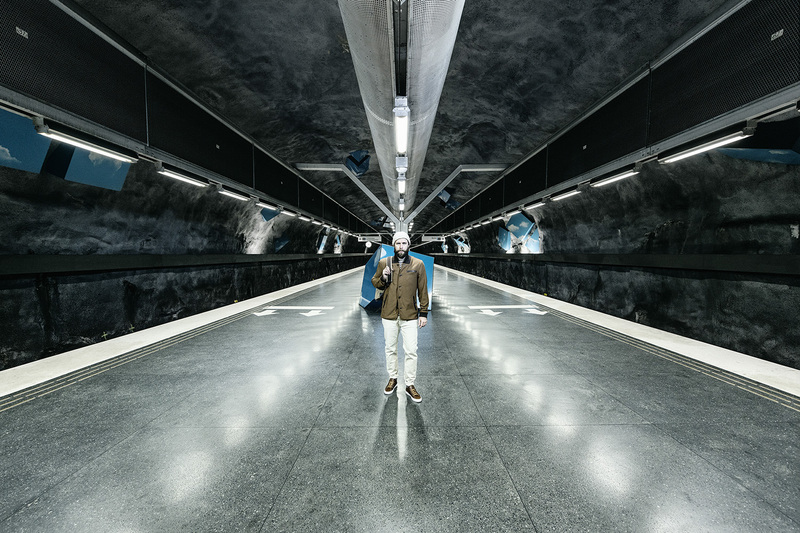 Foreign publications are available only with special permission. 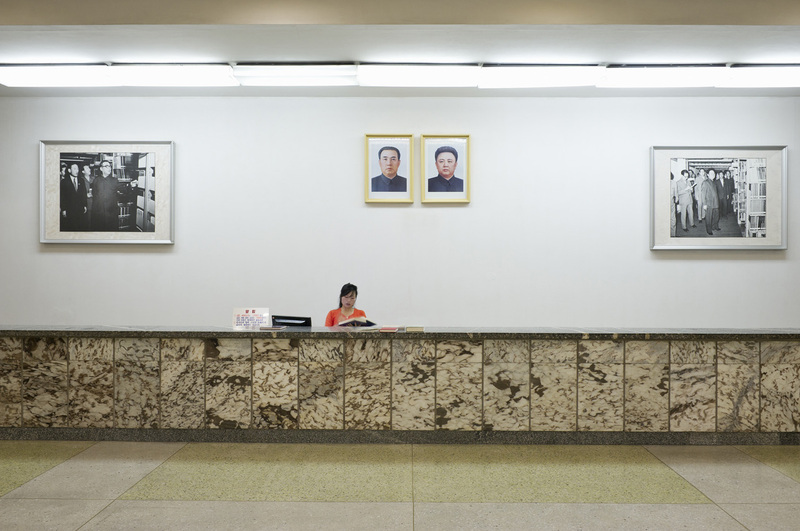 Pictures on the wall of North Koreas late Great Leader Kim Il-sung and his son Kim Jong-Il at Grand People's Study House, North Koreas biggest library and educational centre. 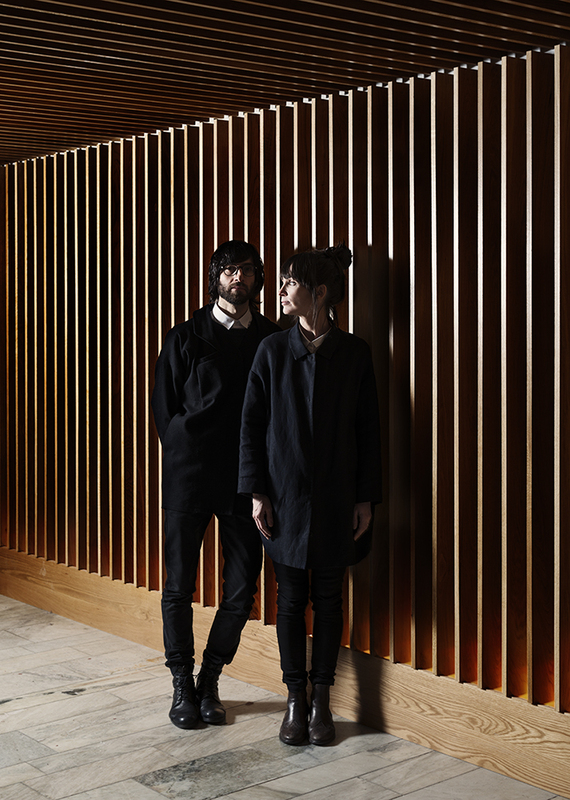 It has a total floor space of 100,000m2 and 600 rooms. 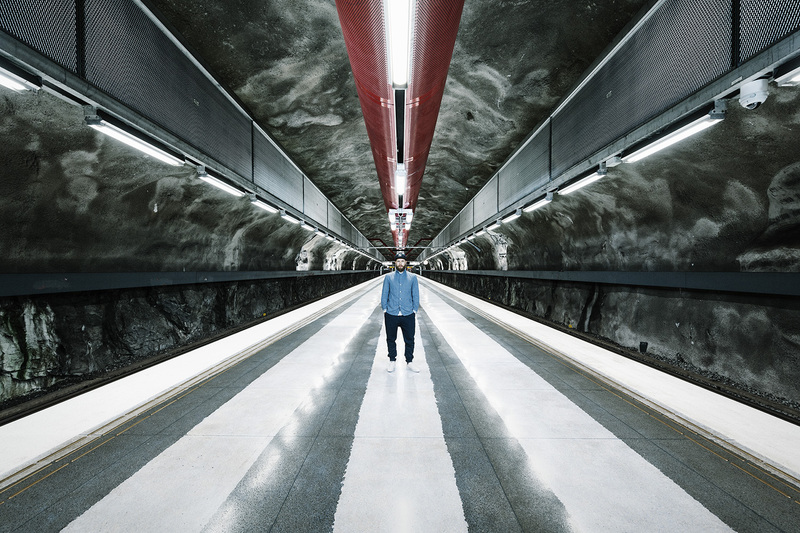 Foreign publications are available only with special permission. 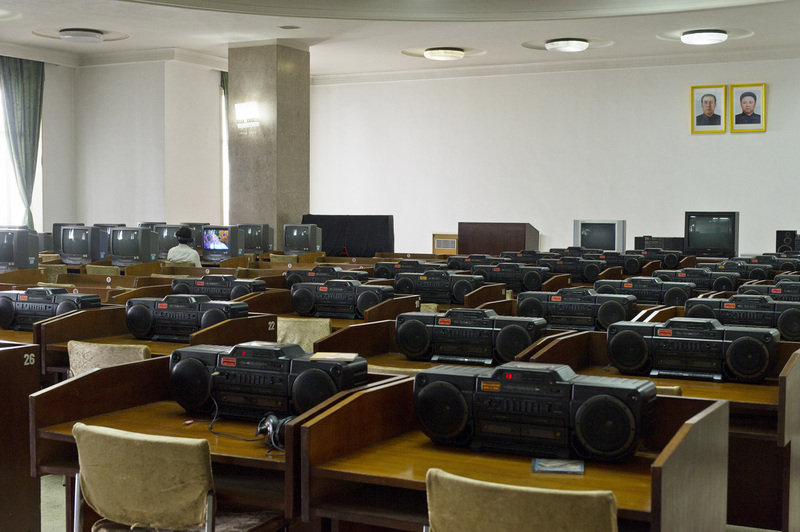 Cultural education room with TV's and Boomboxes at Grand People's Study House, North Koreas biggest library and educational centre. 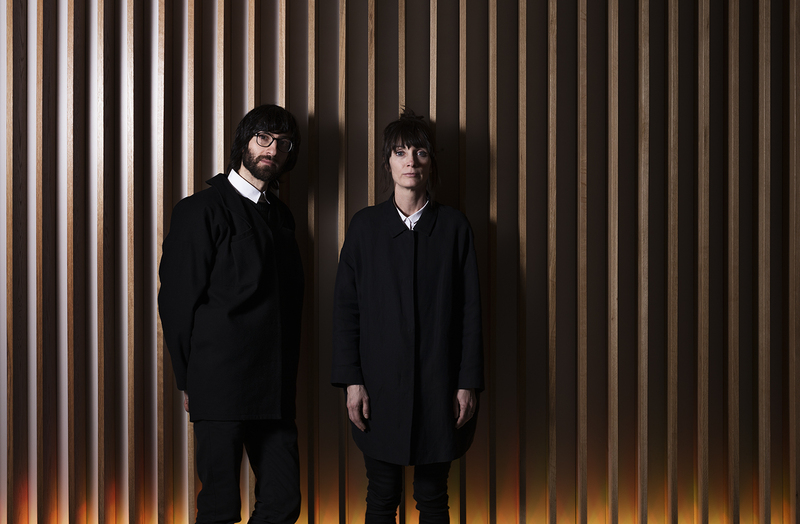 It has a total floor space of 100,000m2 and 600 rooms. 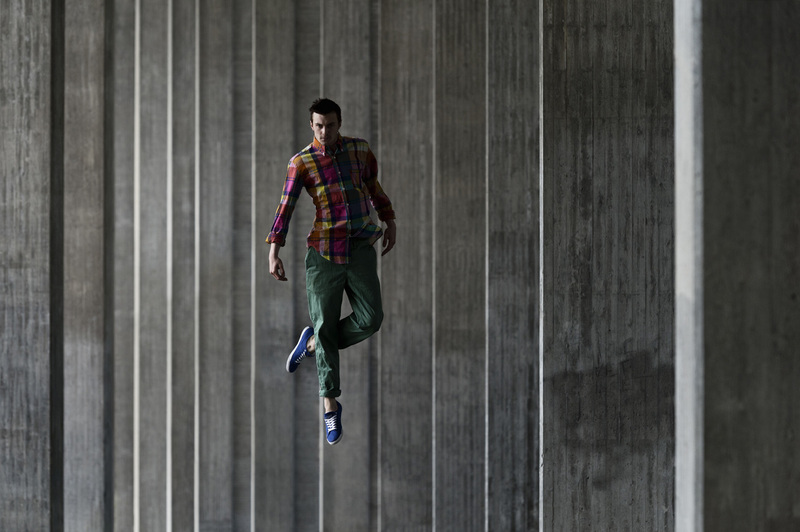 Foreign publications are available only with special permission.